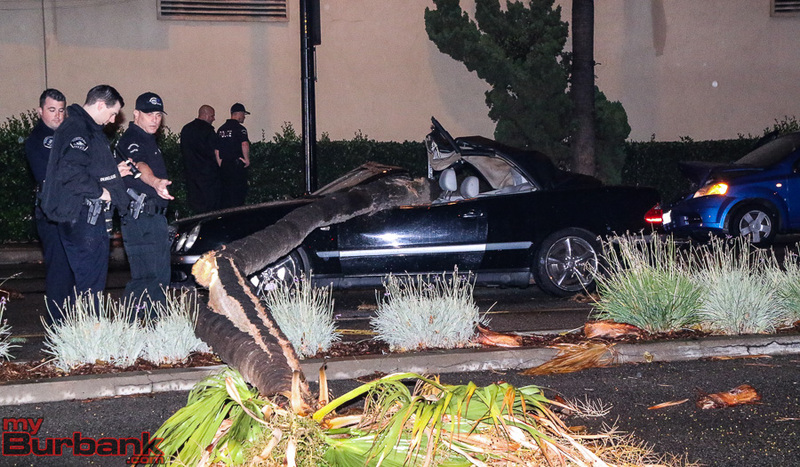 Burbank firefighters received a call last Friday night, October 12 at 9:19 pm of a tree that had struck a vehicle at Lakeside Drive and Olive Ave. in Burbank. At the time, rain was strong in the area. 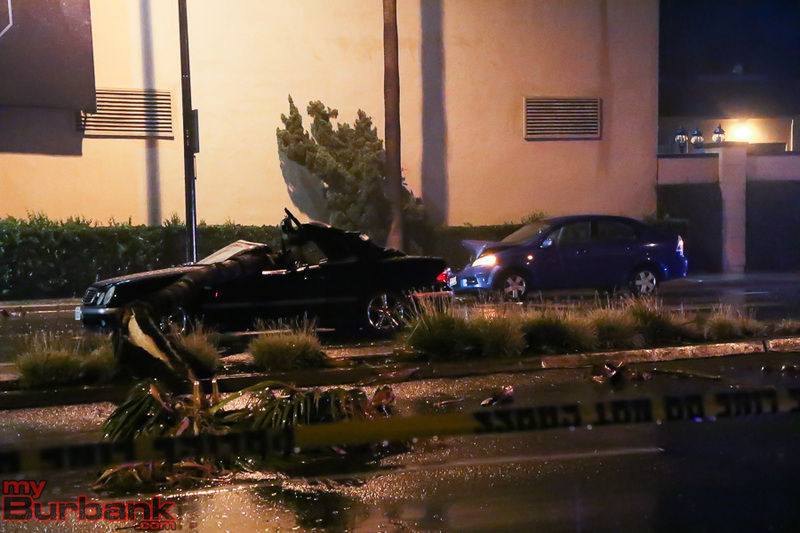 Police arrived first on scene and they discovered a Mercedes convertible that had been struck by a falling tree. 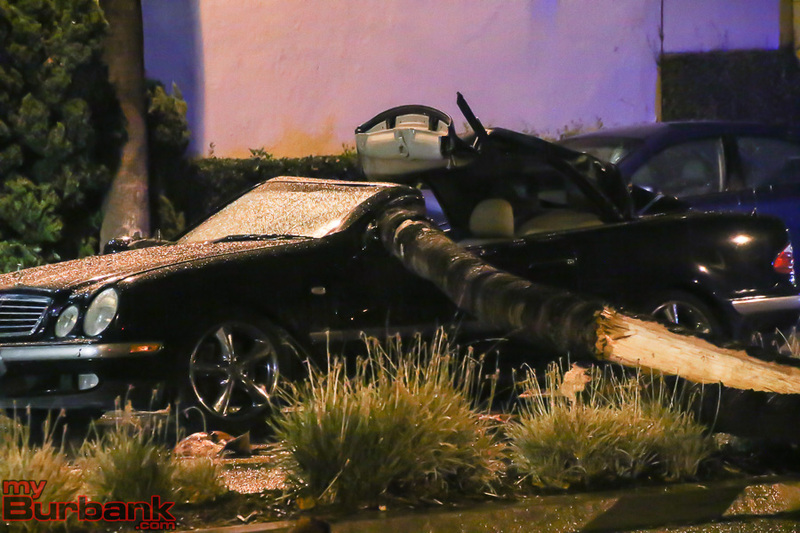 The tree landed directly over a woman passenger and just missed the driver directly. 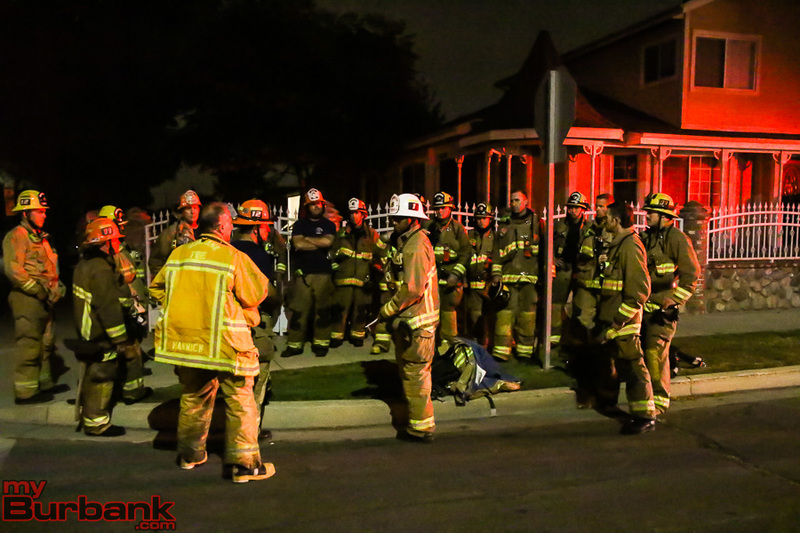 Warner Bros. firefighters arrived on scene right after police had removed both victims from the vehicle and assisted Burbank firefighters with treating both the man and woman, according to Battalion Chief John Owings of the Burbank Fire Department. The female passenger, whose name has not been released, was rushed to a local trauma hospital in critical condition where she remains. The driver was also taken to the hospital with serious injuries. A second vehicle struck the fallen tree also. Green also reported that the occupants of the second vehicle were not seriously injured. 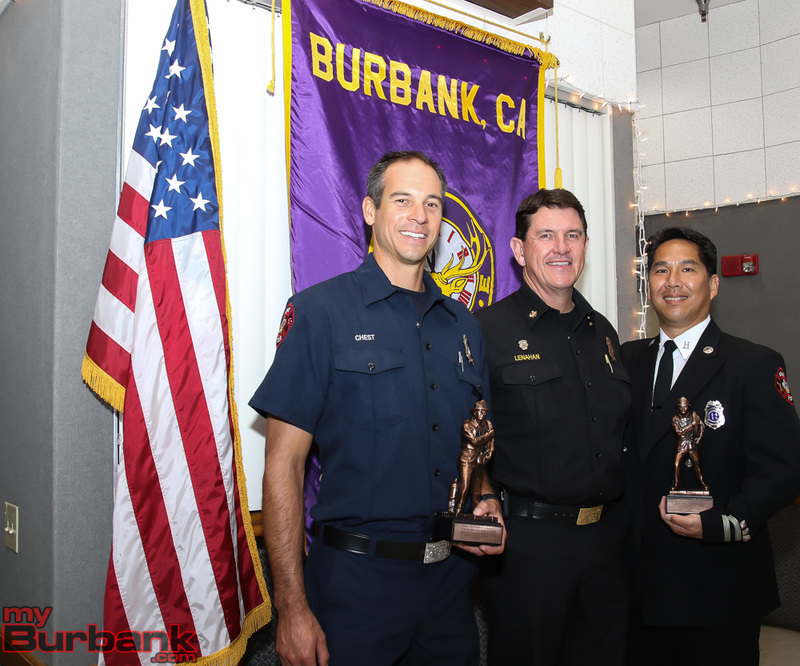 This entry was posted in Fire, News, Police and tagged Burbank Fire Deparntment, Burbank Police Department, palm tree, weather on October 16, 2018 by Craig Sherwood. 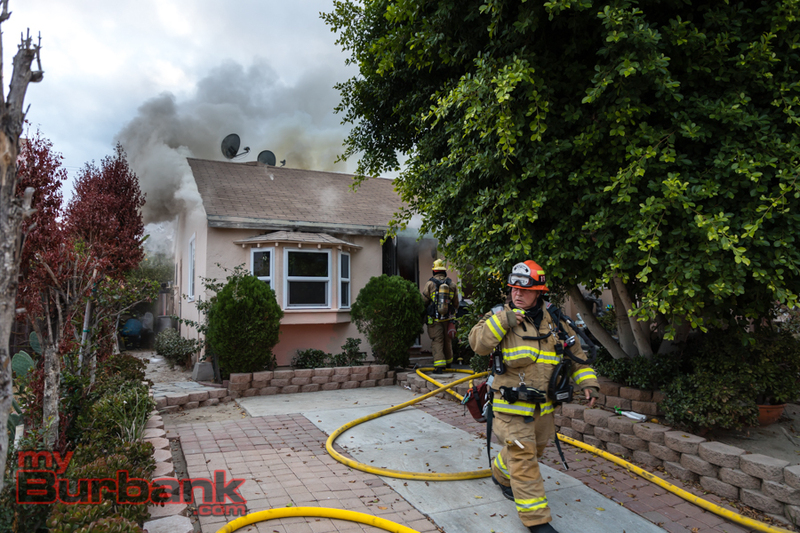 Burbank firefighters received a call at 7:07 Wednesday morning, October 10, of a house fire in the 2100 block of North Brighton. 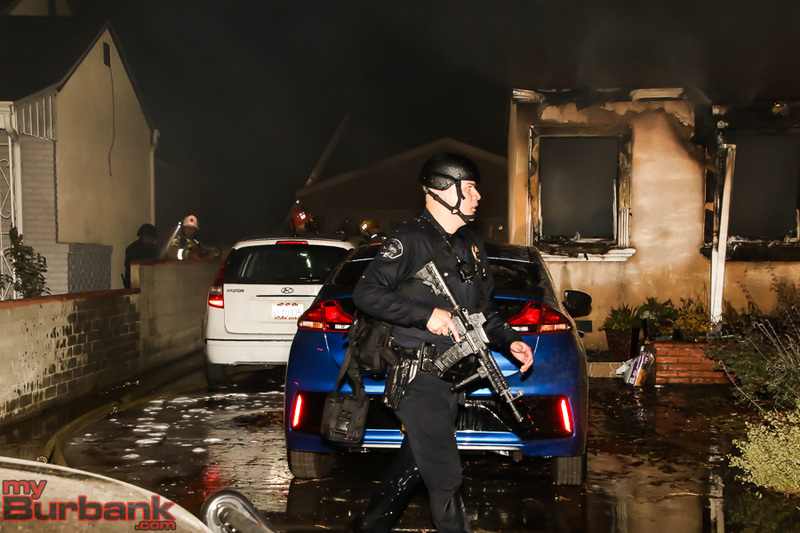 Burbank Police officers on patrol near Robert Lundgren Park noticed smoke a couple of blocks away and responded finding upon their arrival, a one-story house with heavy fire in the front room. 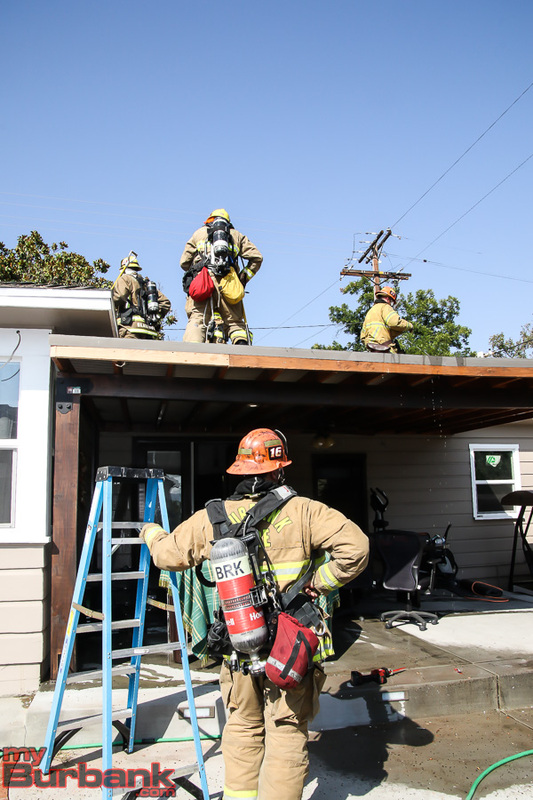 “As a result of an aggressive attack from Burbank firefighters, the fire was confined to the room of origin and knockdown was declared at 7:20 am”, according to Battalion Chief John Owings. 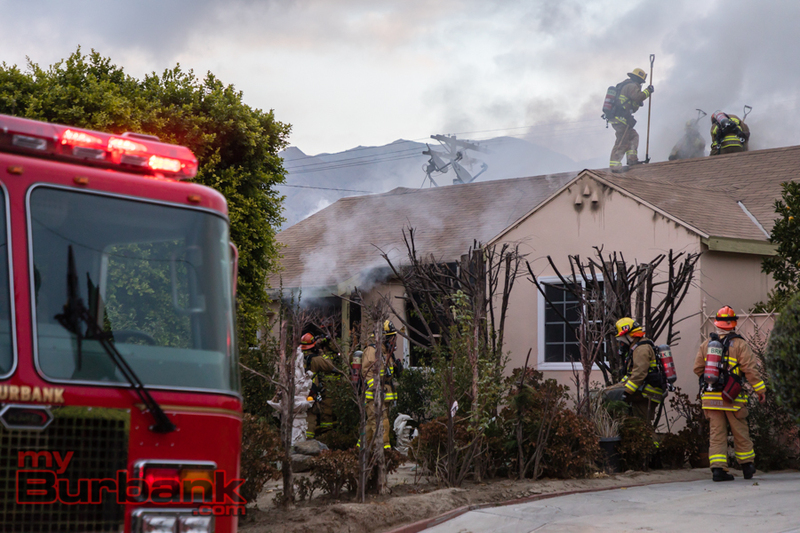 Burbank Police Officers on the scene reported the house appeared to be vacant. 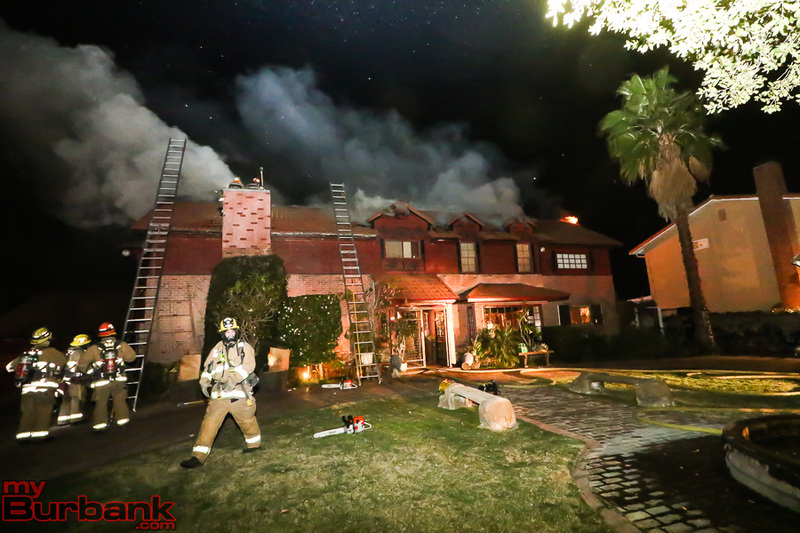 There were no injuries to firefighters or civilians and the cause is under investigation. 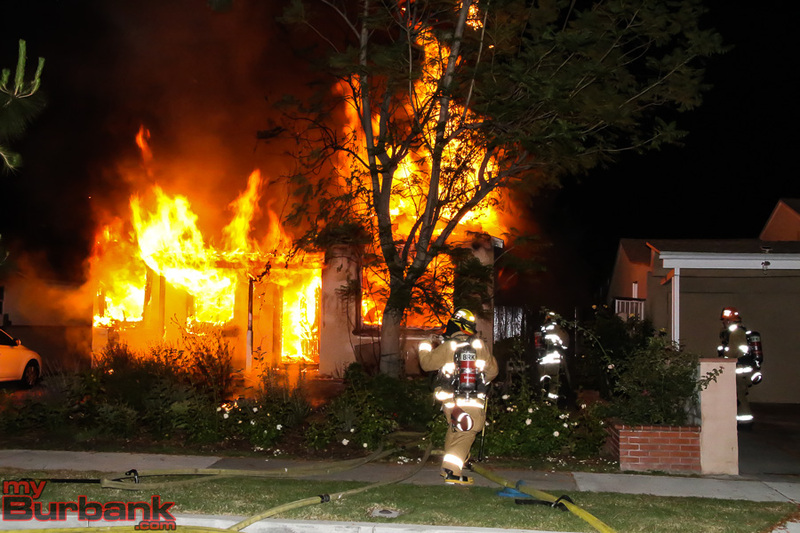 This entry was posted in Fire, News and tagged Burbank Fire Deparntment on October 11, 2018 by Craig Sherwood. 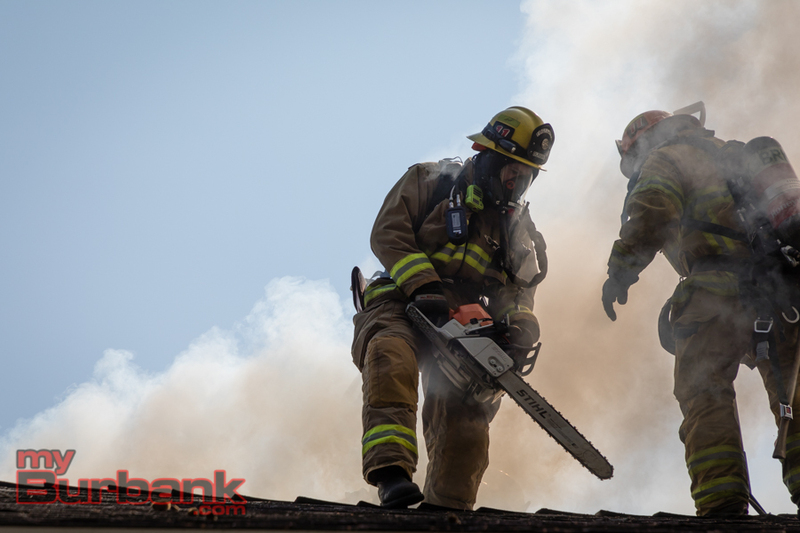 Burbank fire received a report of a roof on fire in the 700 block of East Valencia on Friday, August 17 at 3:43 pm. 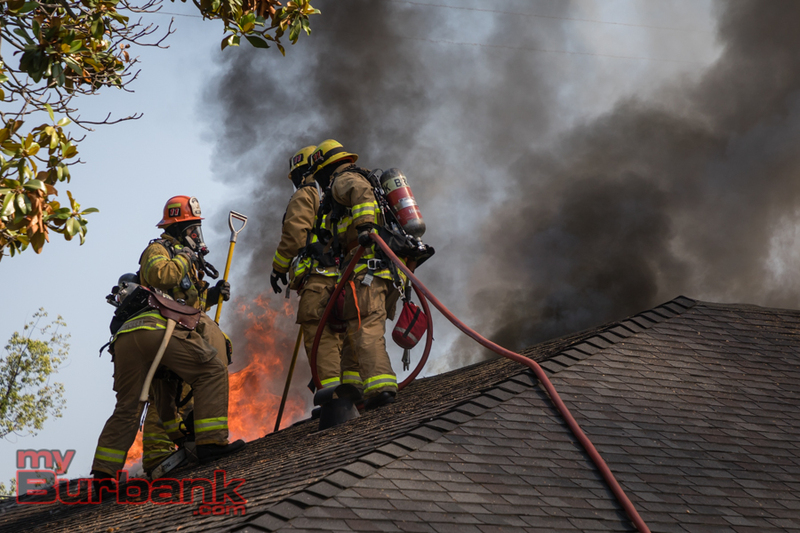 Upon arrival, Engine 11 reported heavy smoke coming from the attic vents in the house and proceeded to lay a line to start fire attack while Truck 11 arrived on scene and started to vent the roof. 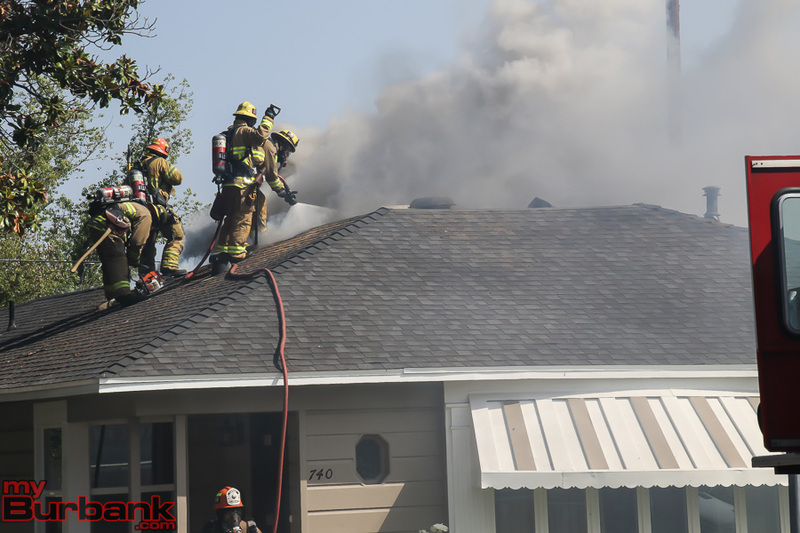 Once they vented the roof, the fire could be briefly seen before being doused by the quick acting firemen. Other firefighters quickly entered the residence with tarps to spread over the furniture to help protect it from smoke and water damage. Incident command asked for an additional paramedic unit and two more engines to help with manpower. Glendale’s Truck 21 also responded and assisted at the scene as part of the mutual aid agreement between the cities. 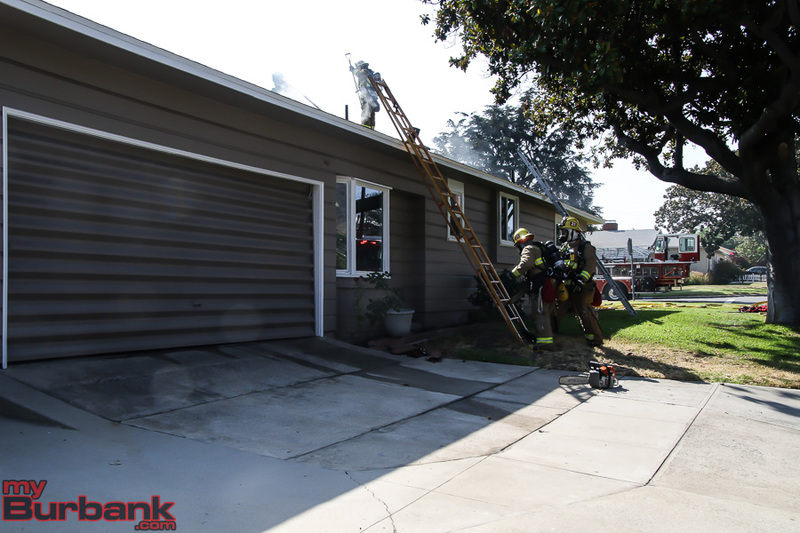 Battalion Chief Kenet Robertson called a knockdown of the fire at 4:09 pm while crews continued to work on salvage at the scene. There were no injuries reported and the damage amount has been listed at $100.000.00 to the structure and $75, 000 to the contents. 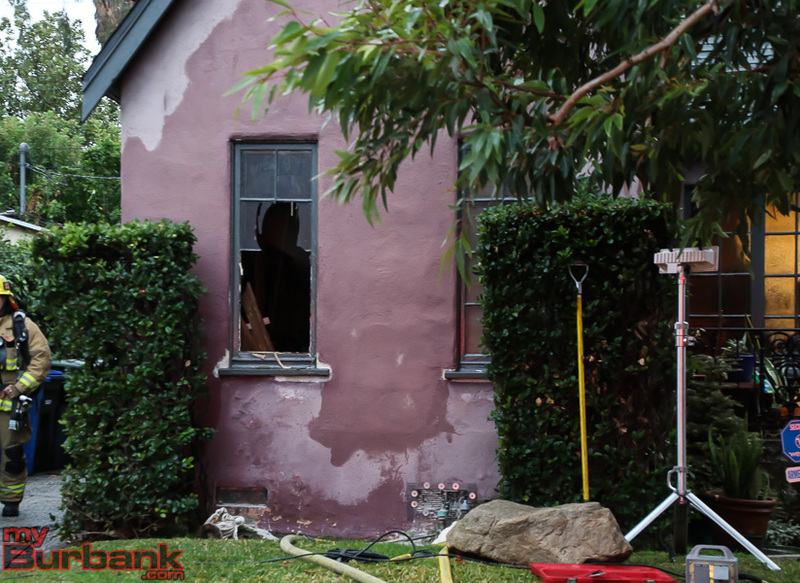 The cause of the fire was not reported a witness at the scene noted that there was workman working at the house at the time the fire started. 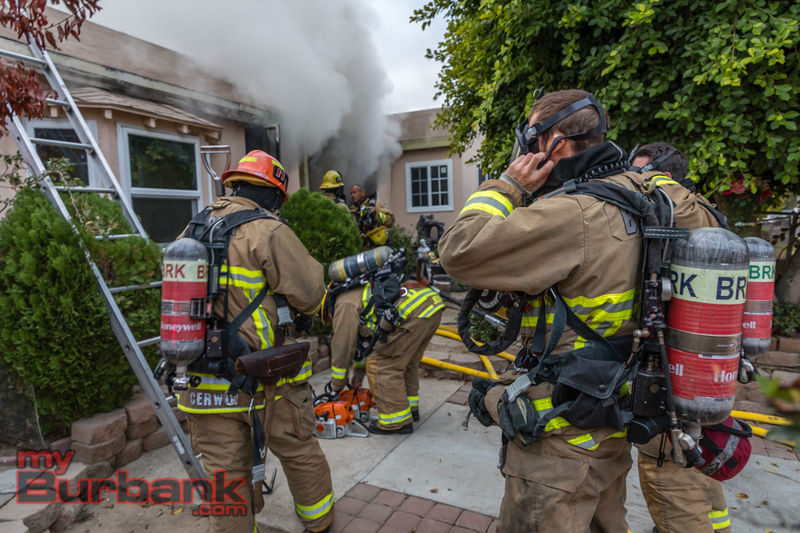 This entry was posted in Fire, News and tagged Burbank Fire Deparntment, House Fire on August 18, 2018 by Craig Sherwood. 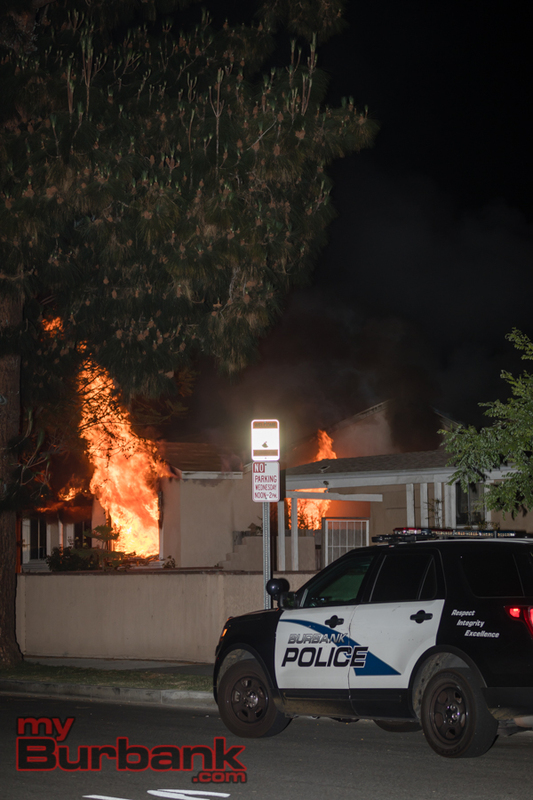 Burbank Police held a press conference Saturday afternoon, June 16, to release additional information related to the incident that occurred Friday evening, June 15, in the 1500 block of North Niagara Street. 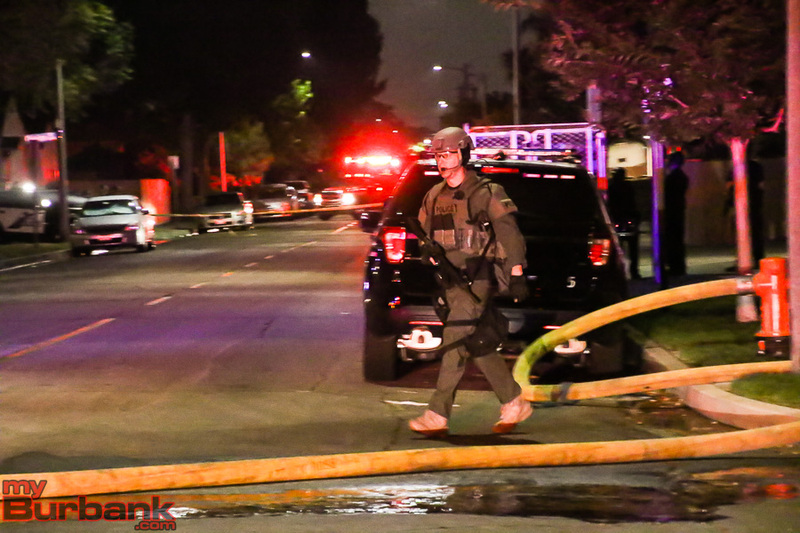 Burbank Police released the suspect’s name as Gilberto Siose, a 50-year-old man from Los Angeles. Siose was placed under arrest and booked for attempted murder, arson of an inhabited dwelling and an outstanding warrant for a traffic violation related to driving under the influence, according to Sergeant Derek Green in a press release. He is currently being held on a $6,045,000 bail. The police reported that the suspect was involved in an incident earlier in the week in Glendale. during which he allegedly assaulted the same woman whom he targeted Friday night. 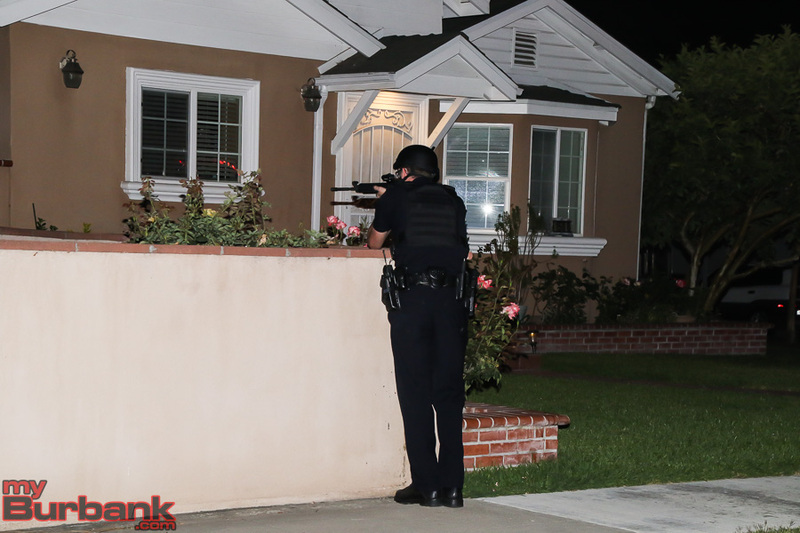 Burbank Police reported that the suspect had a relationship with one of the women rescued from the house. They also said the suspect had once lived in the house at one time. 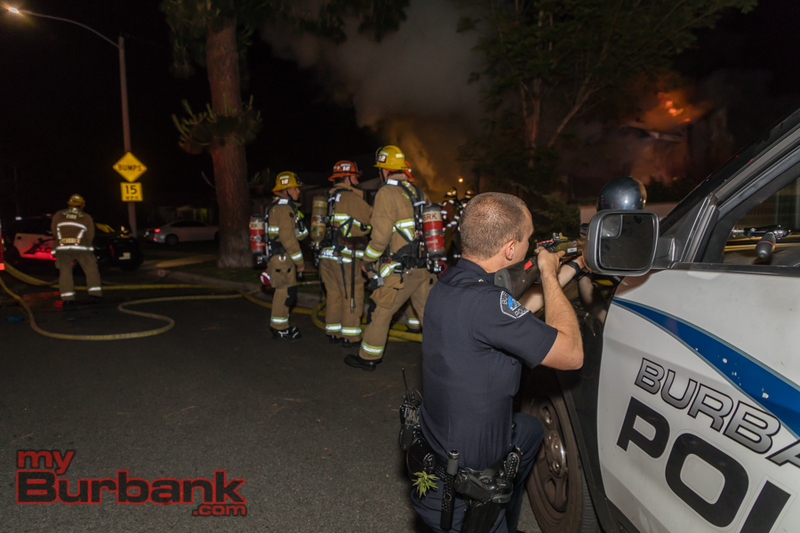 The fire burned for some time until the police could provide protection for the firefighters. 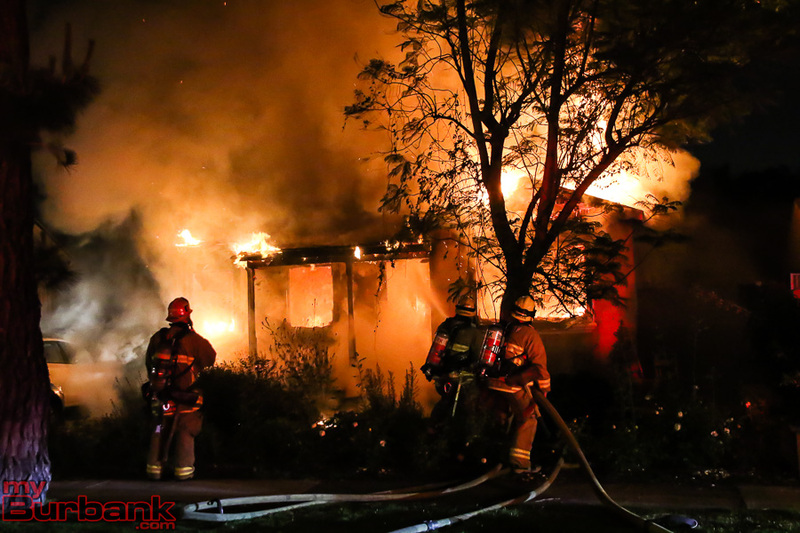 “The fire spread quickly and completely destroyed the home,” added Green. 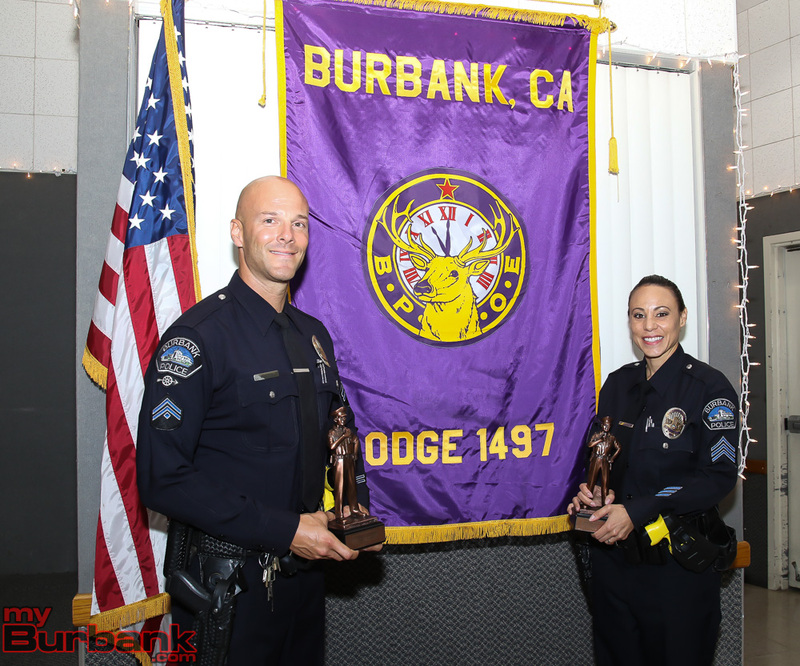 Burbank police rescued some animals from the house including rabbits and cats. They are being treated by the Burbank Animal Shelter but a few of those animals are deceased. 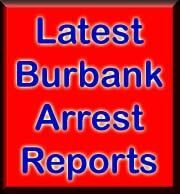 Burbank Police responded to a reported restraining order violation around 10:23 Friday night in the 1500 block of Niagara Street. 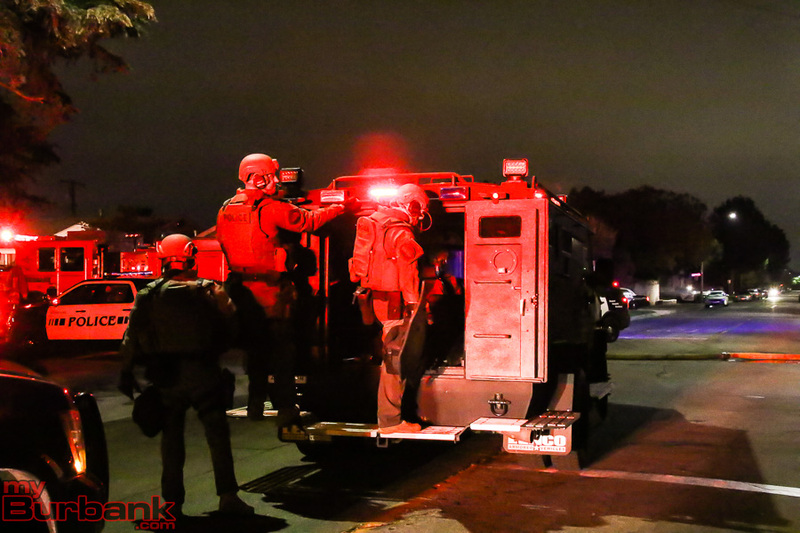 When the first officers arrived they heard shots being fired from the rear yard. 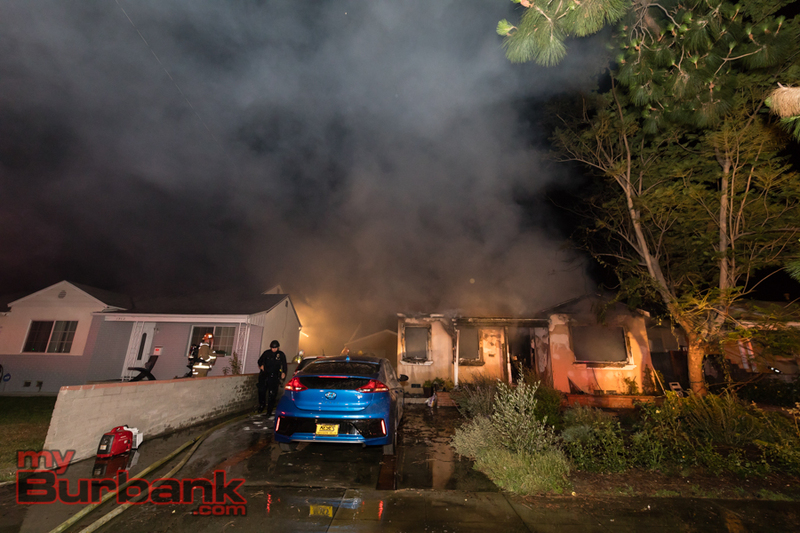 They approached the house and found three individuals inside the home those same officers also saw a fire was started in the front living room. They assisted the individuals out of the house after breaking a window. The officers confirmed with the people they brought out that shots had been fired, and the suspect was still in the area. 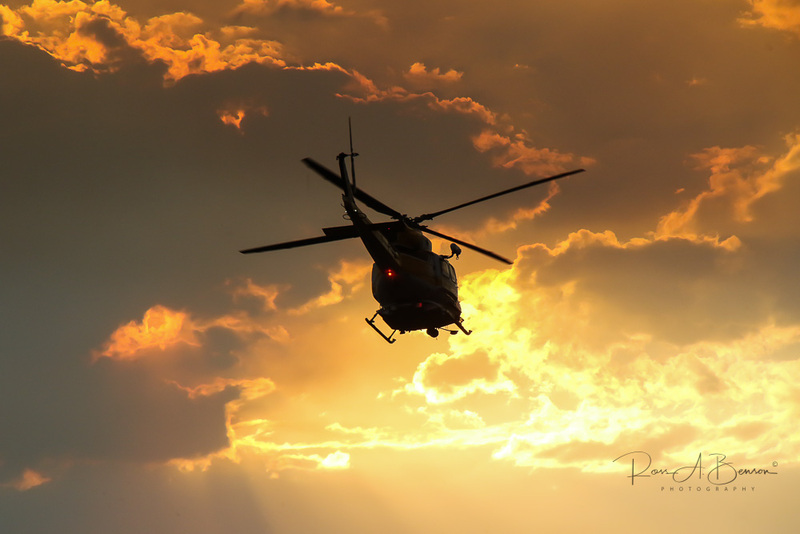 Assisting the ground units was the Burbank Air Support helicopter and they observed a suspect fleeing the rear yard. 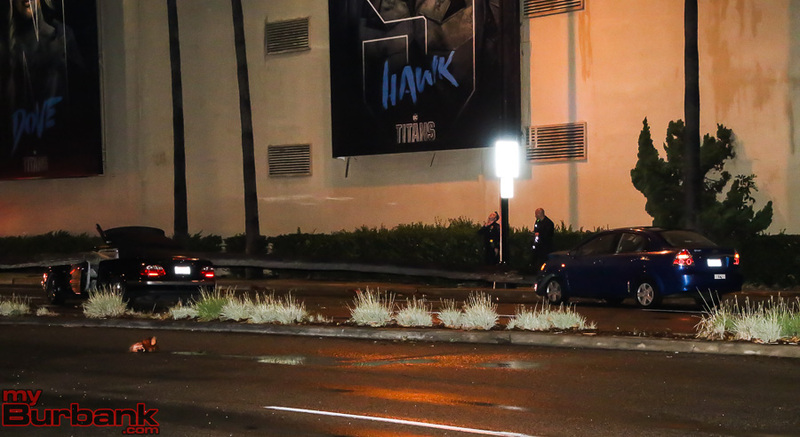 A perimeter was set up and additional resources were requested. 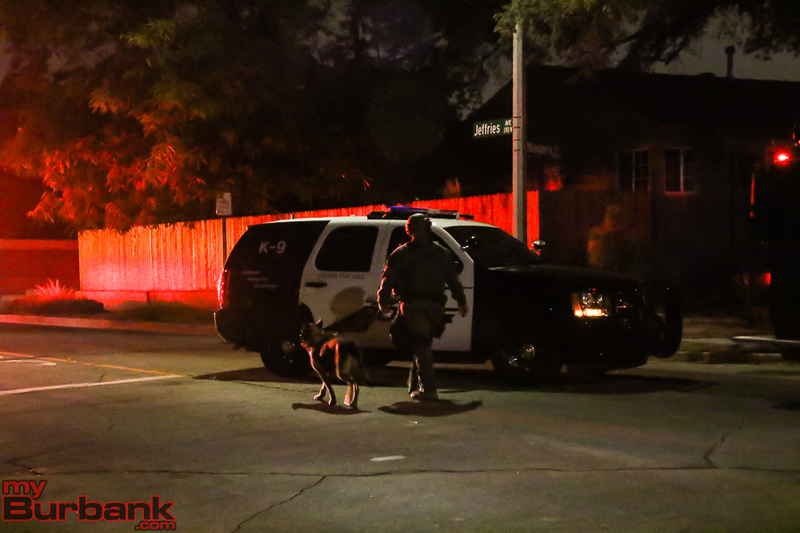 Burbank Police SWAT team along with K-9’s from Burbank and Glendale were deployed and Pasadena and the City of San Fernando assisted with maintaining the perimeter where the suspect could have fled. 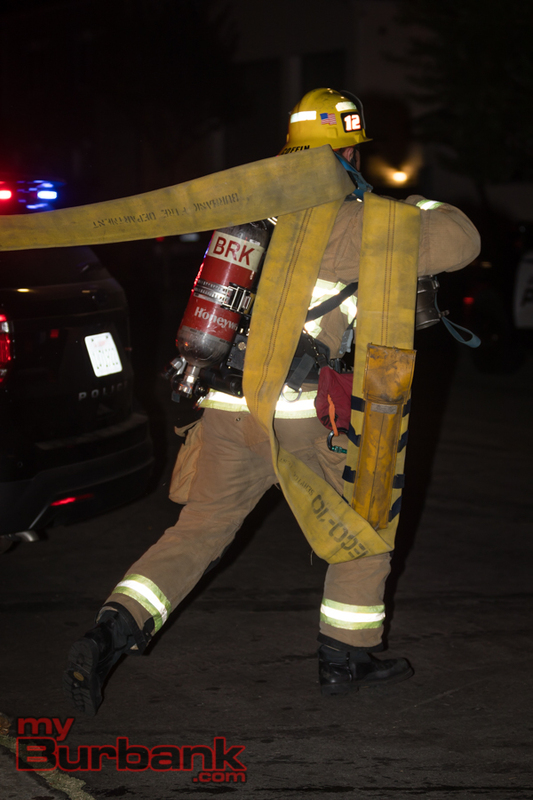 The Burbank Fire Department was called and with the protection of police officers with shotguns worked on extinguishing the house fire that was consuming the whole house. 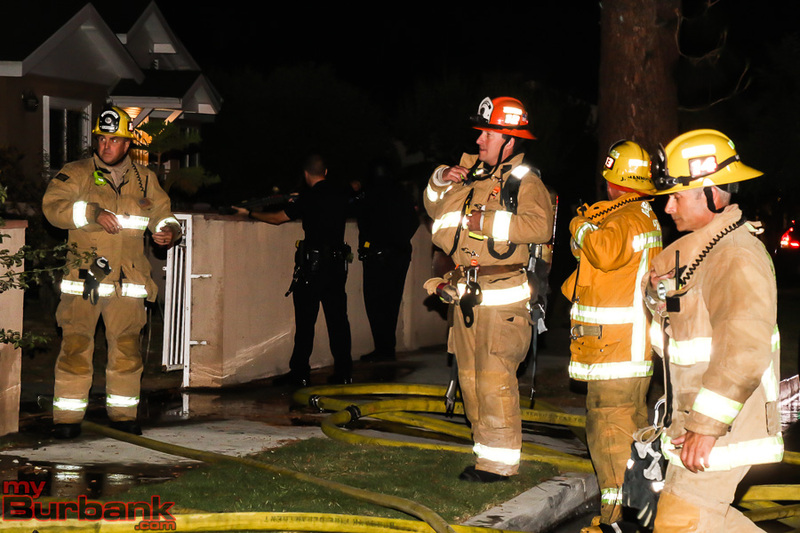 Once Burbank Fire had a majority of the fire knocked down they retreated to a safe zone until officers could locate the suspect. 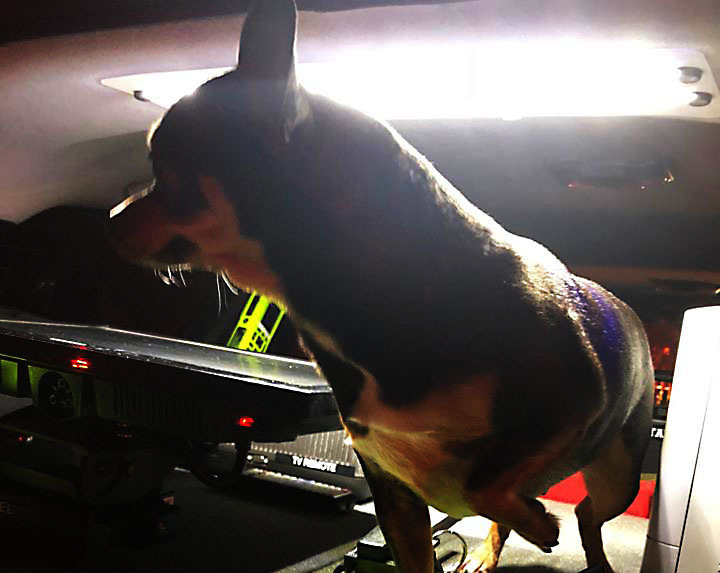 At approximately 3:15 a.m. the next morning officers with the aid of several K-9s located the suspect hiding in a rear yard in the 1400 block of Catalina Street. 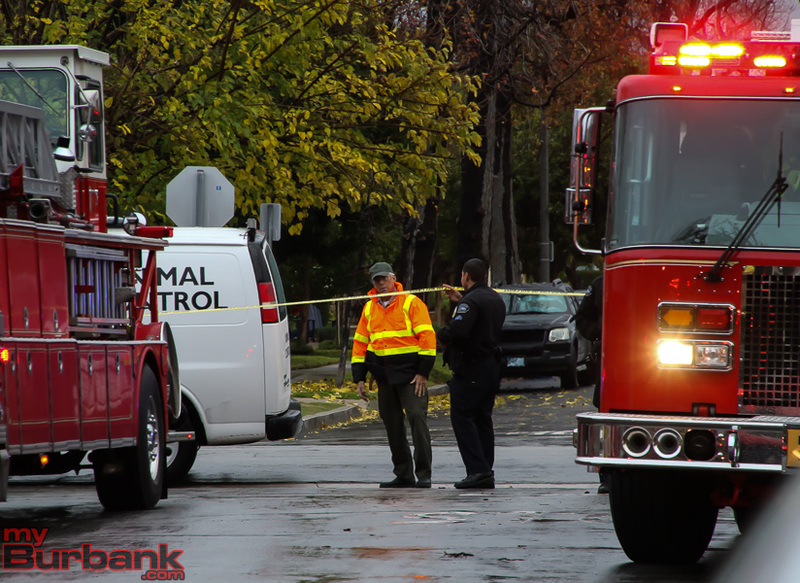 The suspect did not comply with directions from police and K9s were deployed. The suspect was taken into custody after being bit on his arm. He was transported to a local hospital to be treated prior to being arrested and booked. 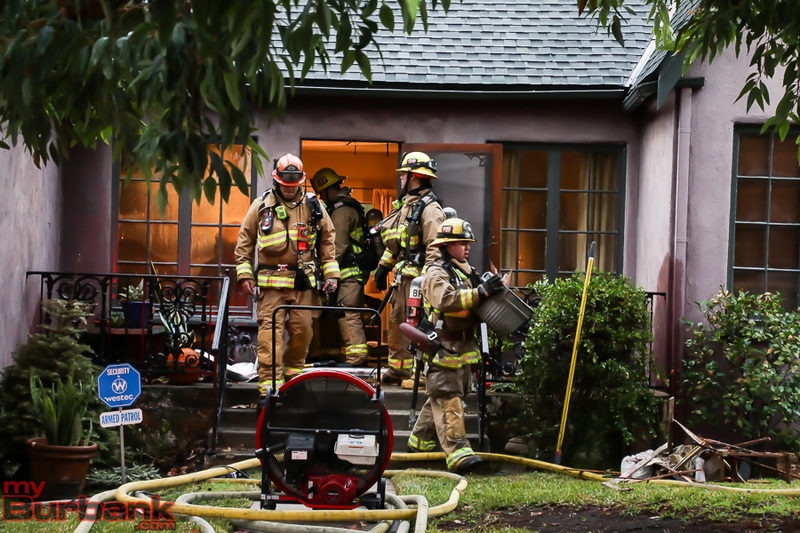 During the incident, no shots were fired by any police officer, and Burbank Fire Department returned to the house to extinguish any remaining fire. 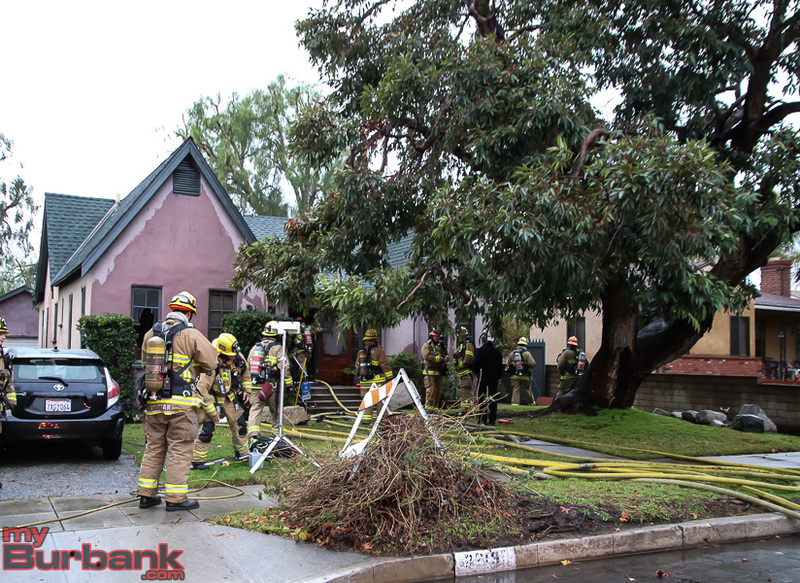 Burbank police detectives along with a fire investigator will remain on scene through the day continuing their investigations. 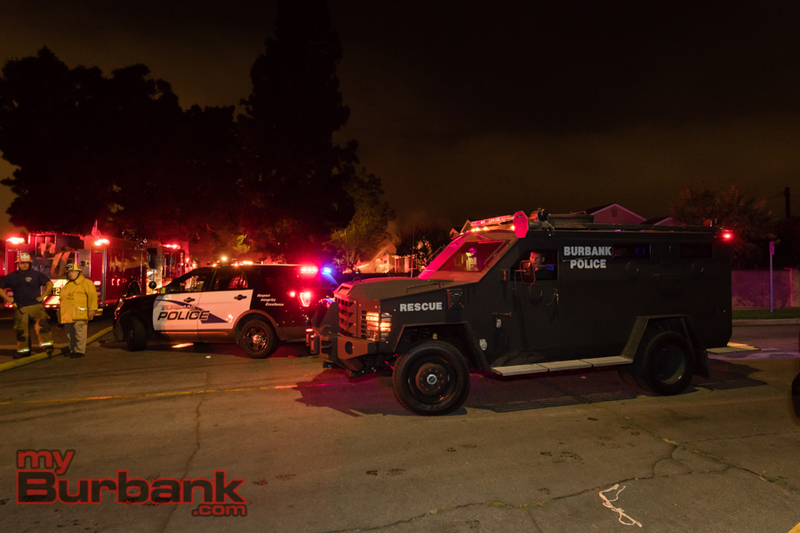 The streets of Burbank were protected by Burbank Airport Police along with officers from the City of Pasadena. 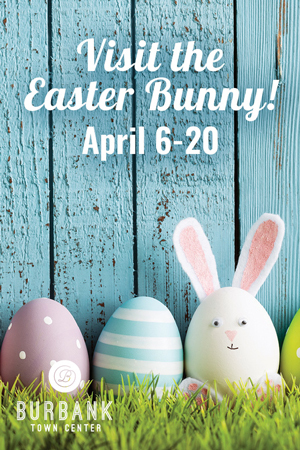 They answered routine calls that continued to come into the police dispatch center including some alarm calls and a traffic accident involving a drunk driver. 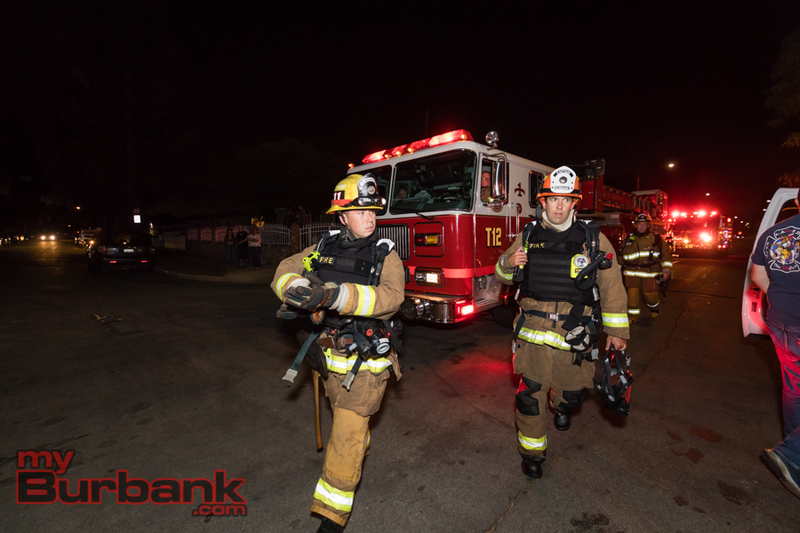 This entry was posted in News, Police and Fire and tagged Burbank Fire Deparntment, Burbank Police Department on June 16, 2018 by Staff. 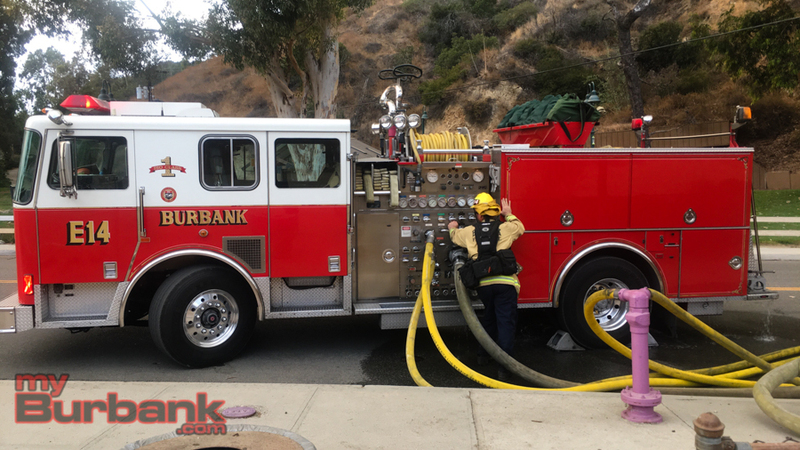 Burbank Fire Department responded with three engine companies, two truck companies, a Battalion Chief and rescue ambulance, a total of 22 personnel, to a reported house fire on the 2600 block of Chandler Boulevard on Saturday, March 24. 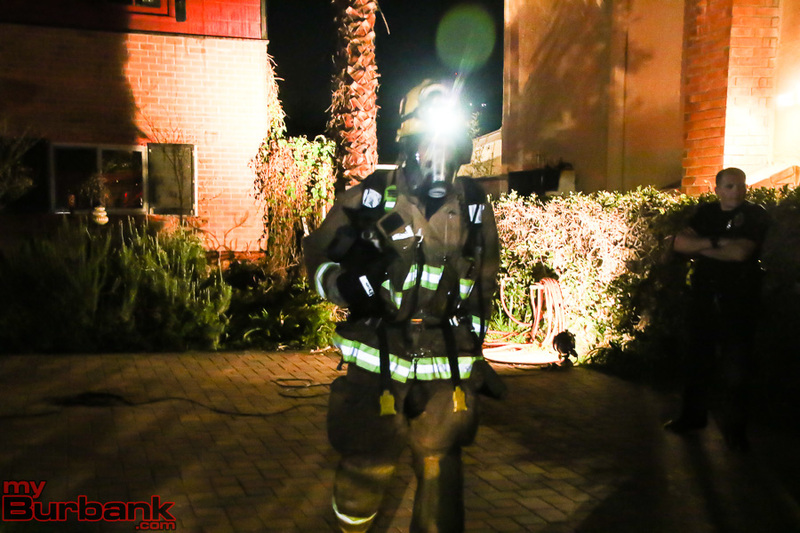 Upon arrival, the first unit reported a fire in the kitchen and one victim of smoke inhalation. 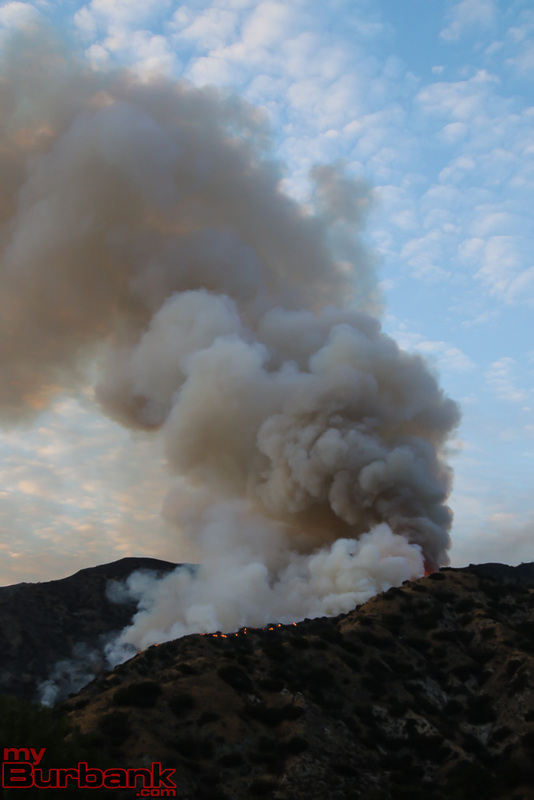 Photo Courtesy Burbank Fire Dept. 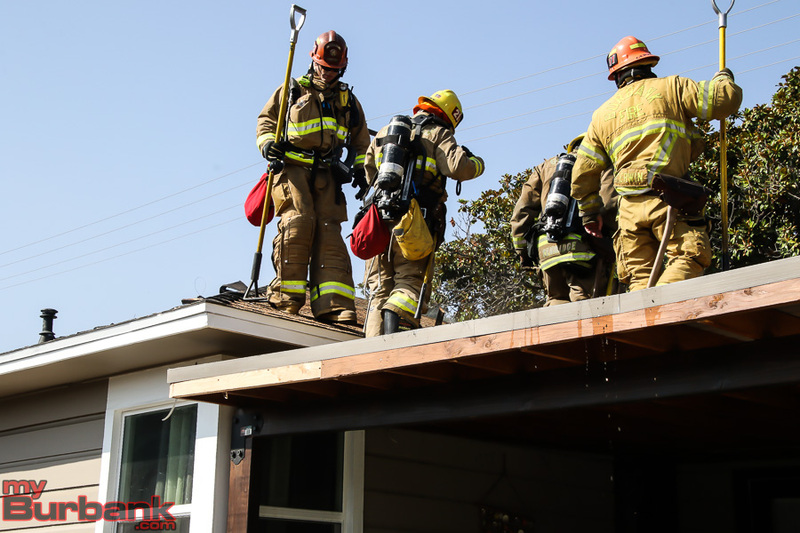 Firefighters quickly knocked down the fire and rescued the occupant and his dog within five minutes after arrival and provided medical care to the victim. There were no other injuries to civilians or firefighters. The cause of the fire is still under investigation along with the estimate of damages. 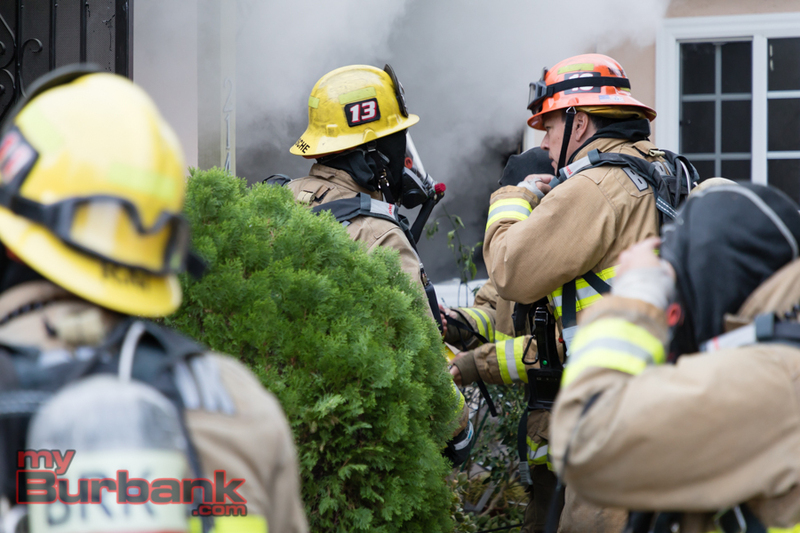 This entry was posted in Fire, News and tagged Burbank Fire Deparntment on March 28, 2018 by Staff. 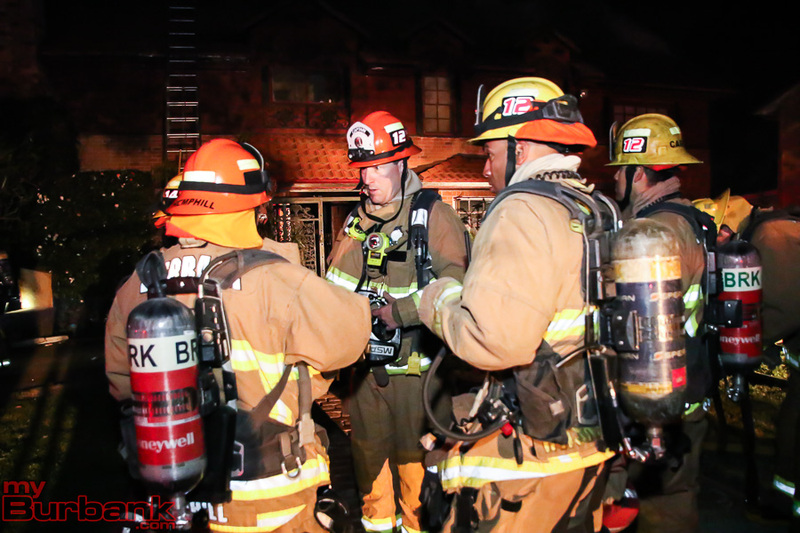 Burbank firefighters were called out in the early morning on Tuesday at 1:16 am for a possible attic fire at 1616 Oak Street in Burbank. Engine 15, stationed just a couple of blocks away, was first on scene and reported light smoke coming from the attic on the second story of the home. 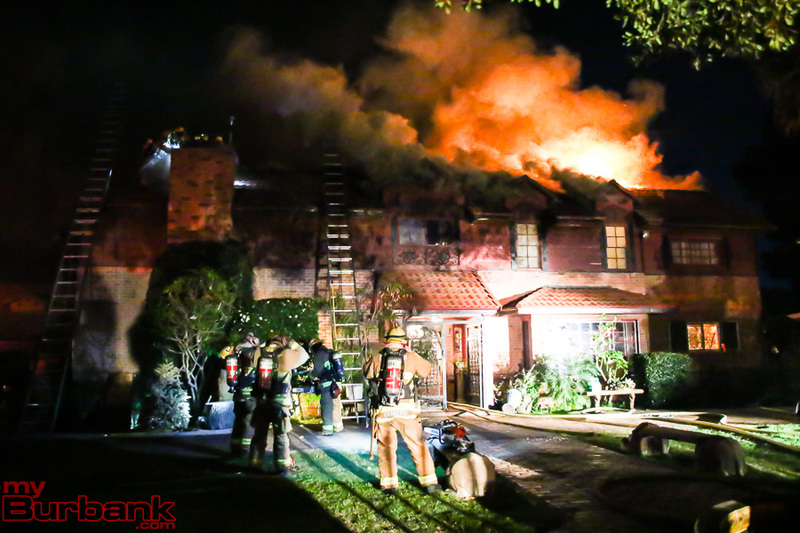 Burbank’s Battalion Chief arrived on scene shortly after and asked for a second alarm assignment because of the size and complexity of the house according to PIO Battalion Chief John Owings. 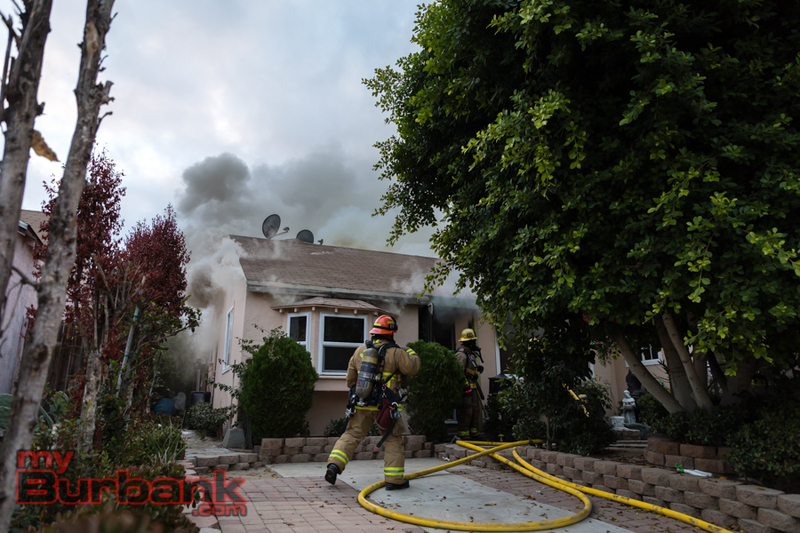 The second alarm consisted of both Burbank and Glendale firefighters along with Glendale’s Battalion Chief to aid. Crews made an aggressive coordinated attack which resulted in containing the fire to the attic only. 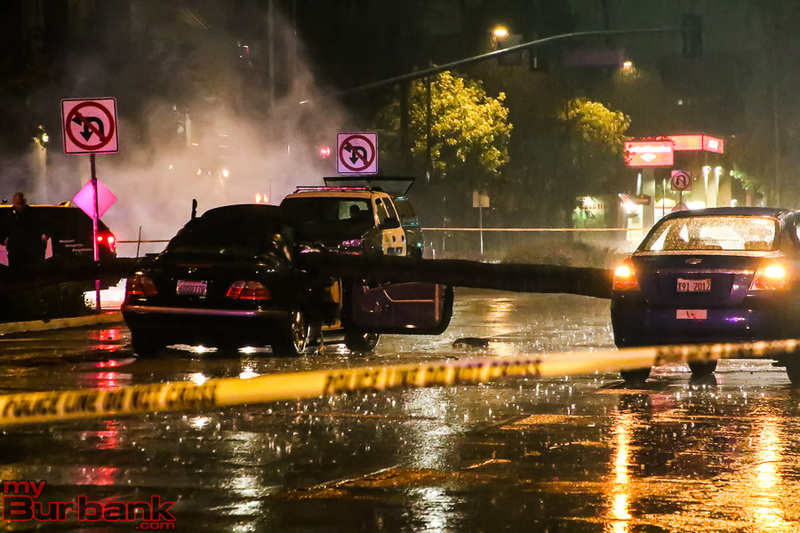 Burbank police provided traffic control and Burbank Water and Power was requested to help secure utilities to the affected structure. 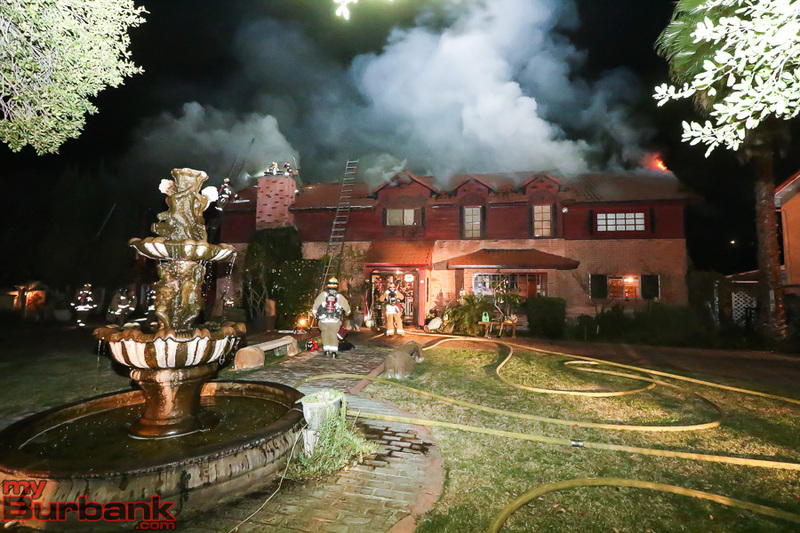 Firefighters called a ‘knockdown’ to the fire at 2:22 am. There were no reported injuries to civilian or fire personnel and the fire was declared “knocked down at 02:22hrs. The cause of the fire is still under investigation. 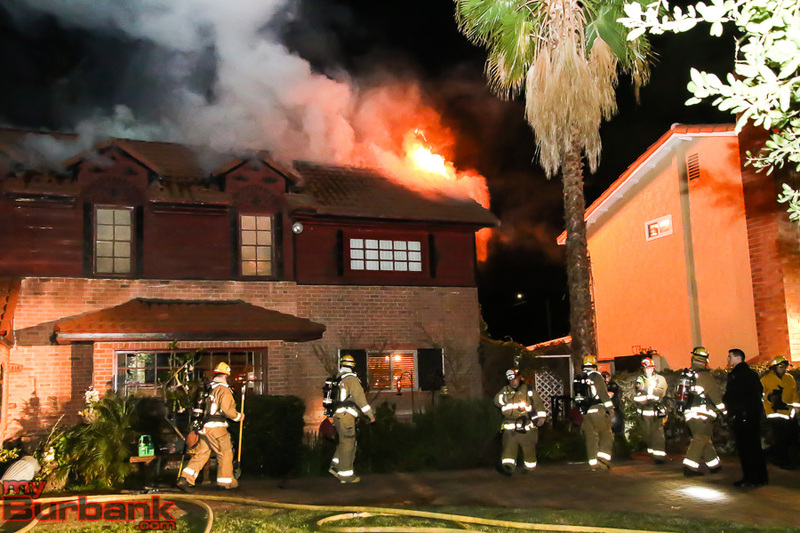 This entry was posted in Fire, News and tagged Burbank Fire Deparntment, Oak Street on February 20, 2018 by Craig Sherwood. 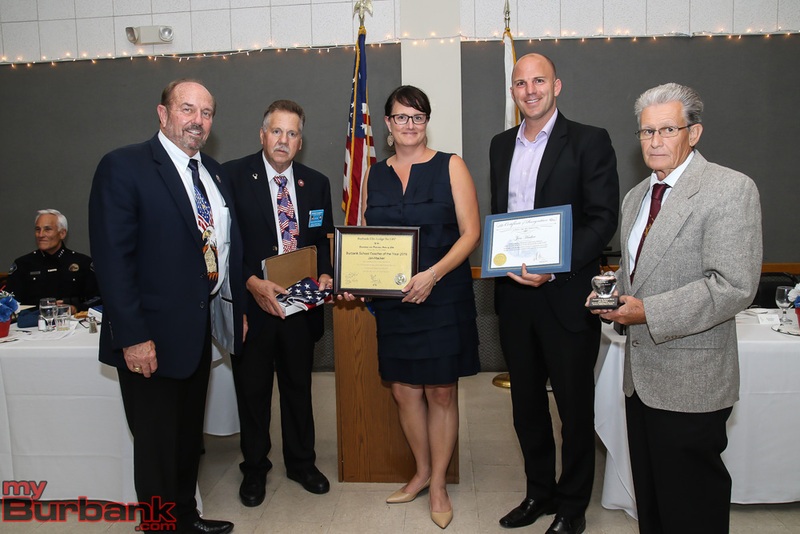 On Wednesday, August 30th, Burbank honored our own hometown heroes with a Community Service Awards ceremony at the Elks Lodge. 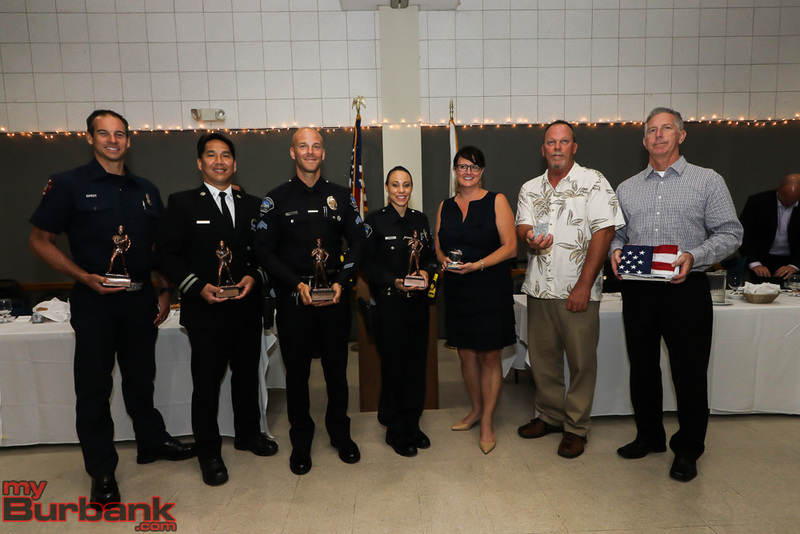 The awards event was two years in the making, and honorees were made up of the 2015 and 2016 years. 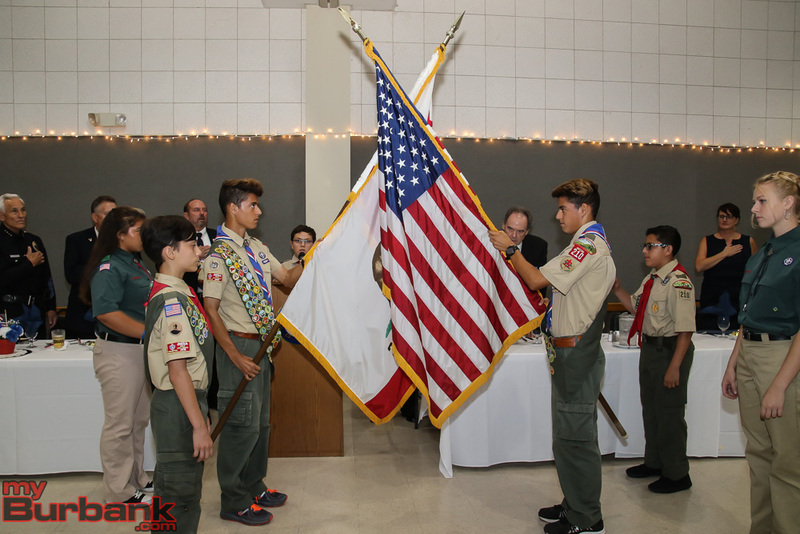 The event was organized by the Burbank’s Elks Lodge 1497, and with little help from Burbank’s very own Boy Scouts Troop 201. 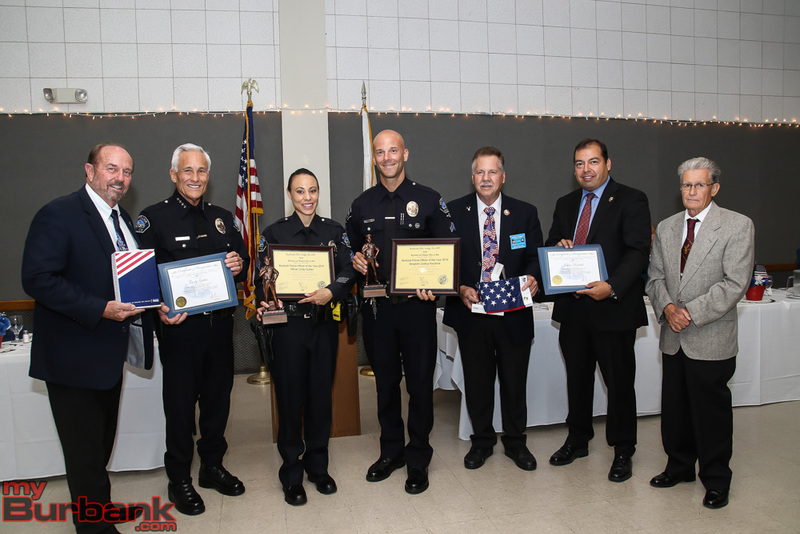 The awards proved to be a good reminder Burbank’s city leaders are some of the best in the country. That same reminder is more important now after the La Tuna fire, which you can read more about here. Now, without further ado, let’s go over the list of award recipients! 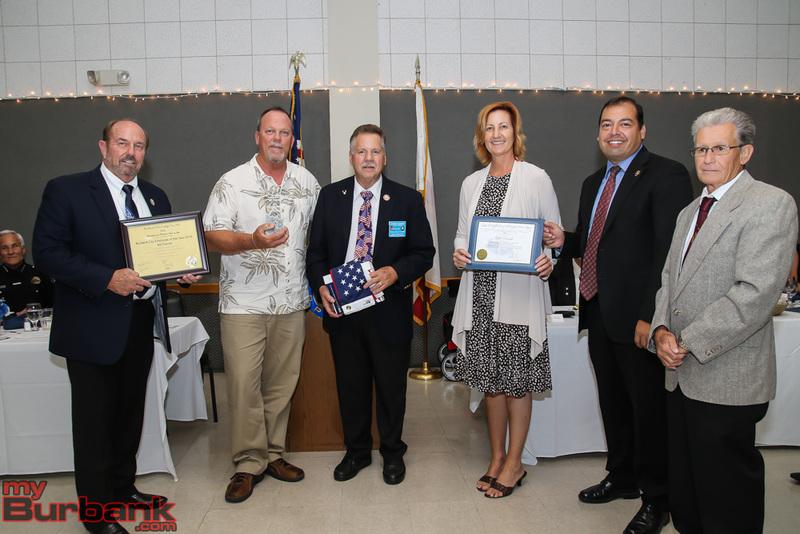 For the 2015 year, Sara Line was given the Teach of the Year award for an outstanding job in promoting achievement and success to our young students here in Burbank. It’s really been an honor to be included with the other individuals that were here tonight, mostly because it’s very representative of the kind of town Burbank is all about. The people that I’ve met here tonight are all parents, students, and grandparents. That’s what it’s all about: Everybody being a part of the same thing. Tonight really made me feel like that. 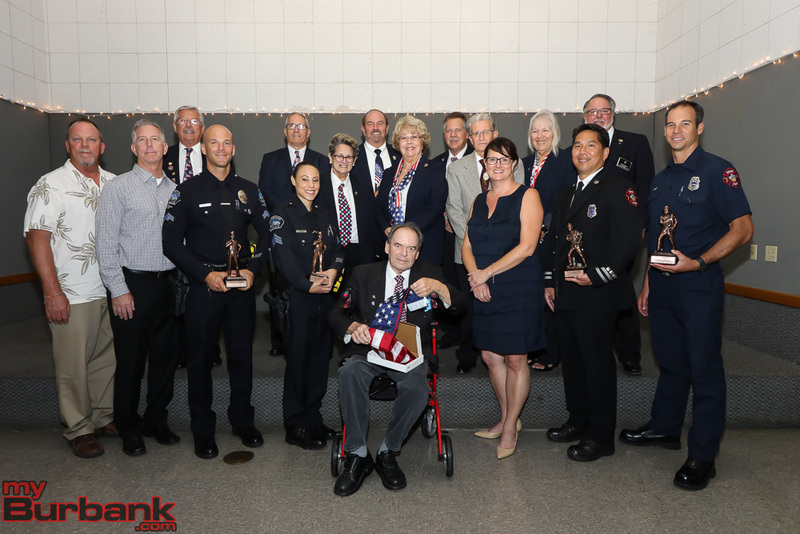 With officers, firefighters, city workers – to be included in that crowd, and to be representative of what Burbank is all about, it’s a huge honor for me. This award is very special to me. One, because there was a lot of hard work that we put in. 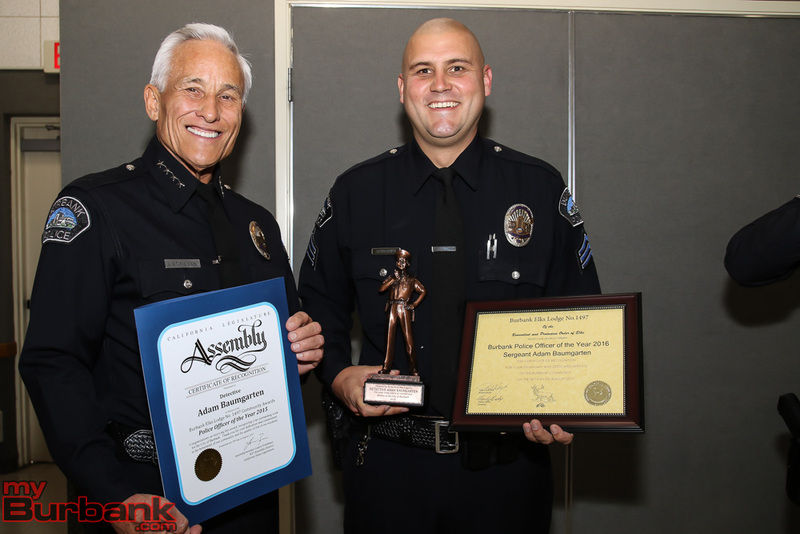 My partner and I were one unit, working together and working for the community. 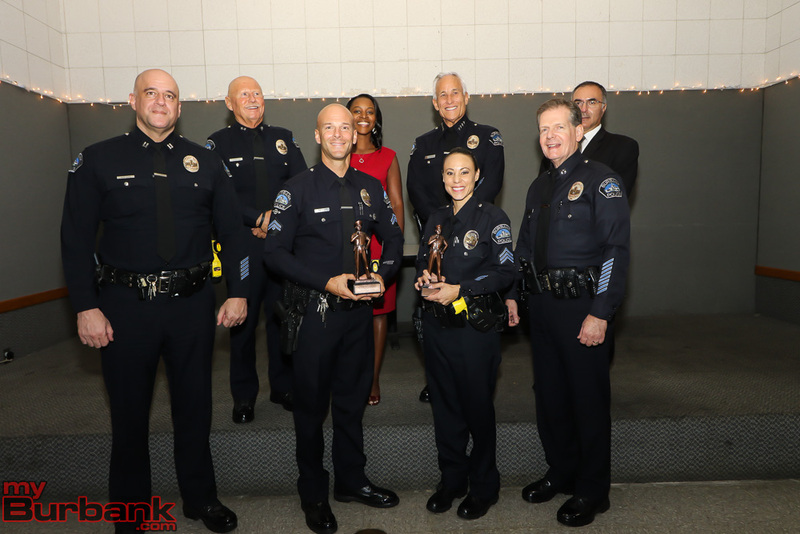 We did everything we possibly could to not only make the community better, but to mend the gap between the police department and the community. 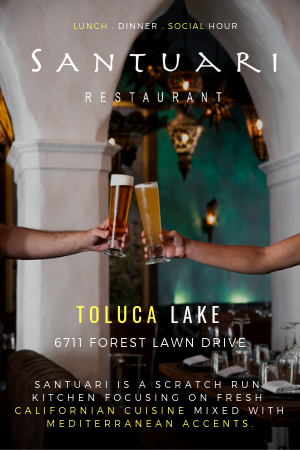 The work we did is appreciated through this award and we’re very grateful to be honored. 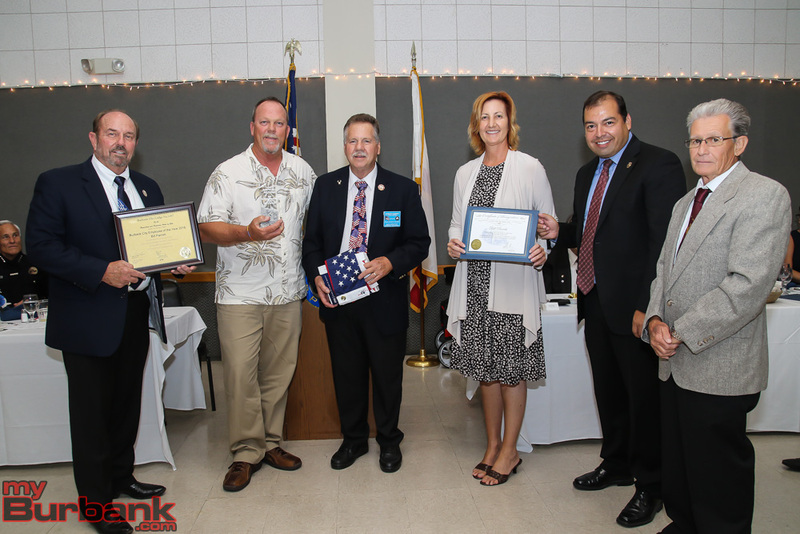 For the 2015 year, Bradley (Brad) Recker was awarded for his unrelenting passion to make Burbank better. 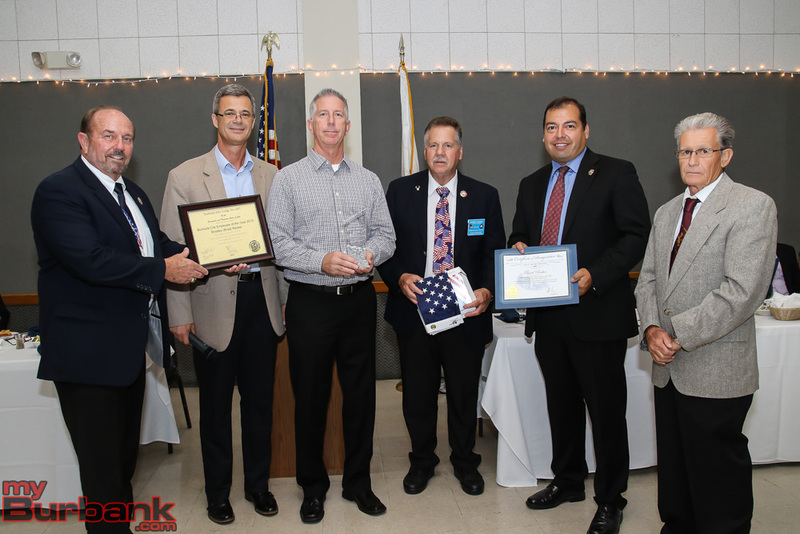 For the 2016 year, Bill Parrish was awarded for his outstanding service to the community. 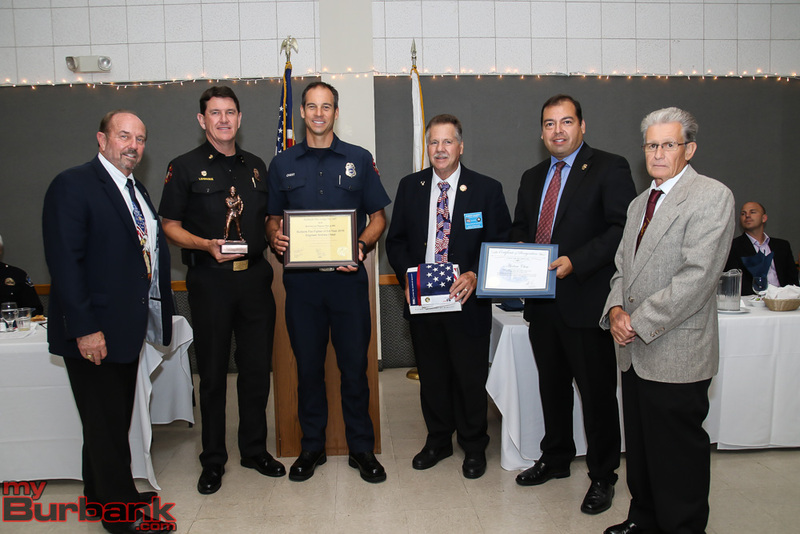 Firefighters of the year are chosen by other firefighters. By voting for an individual, firefighters are essentially choosing the best representation of the entire department. It’s a privilege. I’m on the tail end of my career right now, and I’m going to retire this year. 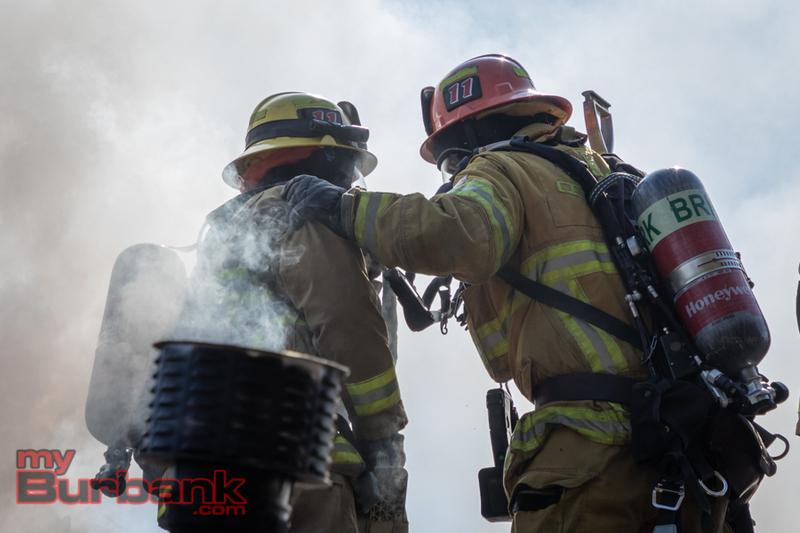 I’ve seen a lot of things change over the years and the one thing that doesn’t change for the Fire Department is their quality and talented people that we have. It’s a privilege for me to be able to mentor some of our young firefighters and help them out in their career. This is a good expression of the department expressing years of service and some of the contributions we’ve made. As for the first thing he’s going to do after retiring, Captain Isozaki simply plans on going fishing. It’s an appreciation of the hard work, it’s an appreciation of the department for me, and I hold it with high regards. It is indeed an honor to be here tonight. It’s pretty prideful to receive this award. It’s who your peers think who deserves the award, that’s what’s honorable about this. If you’d like to see more of the ceremony, take a look at the pictures below! 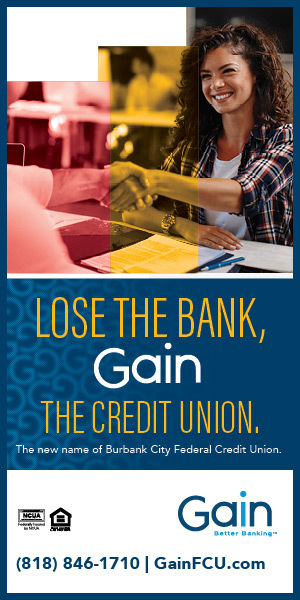 This entry was posted in City of Burbank, News, People, Police and Fire, Schools and tagged awards, Boy Scouts. 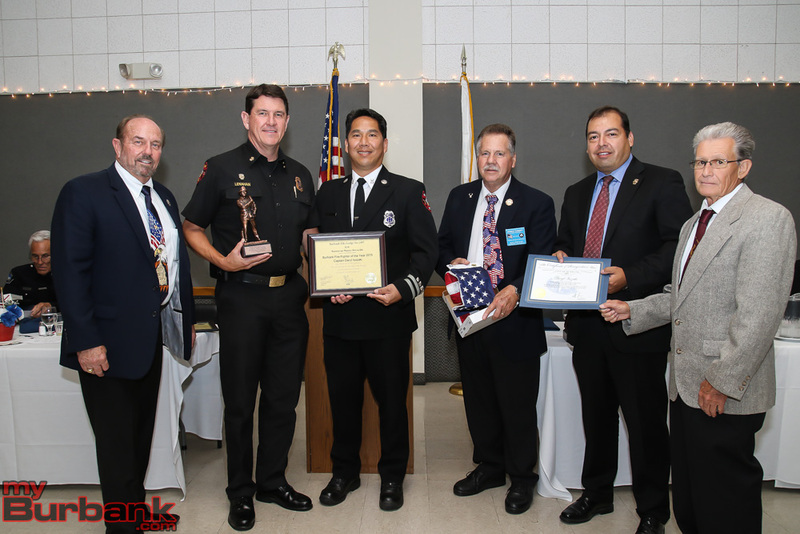 Troop 201, Burbank Elks Lodge, Burbank Fire Deparntment, Burbank Police Department, Burbank Unified School District, Firefighter of the Year, officer of the year, Teacher of the Year on September 5, 2017 by Jacobo Lopez. 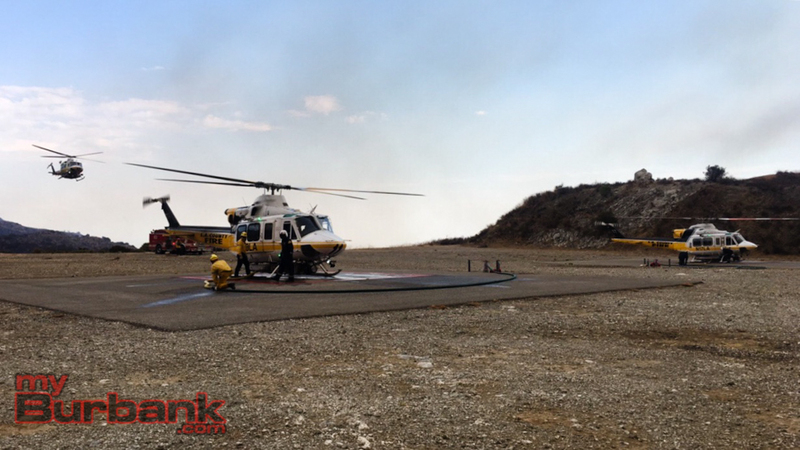 Burbank’s hillsides had not had a serious brush fire in decades until this past weekend when one started near the 210 Freeway quickly escalated. 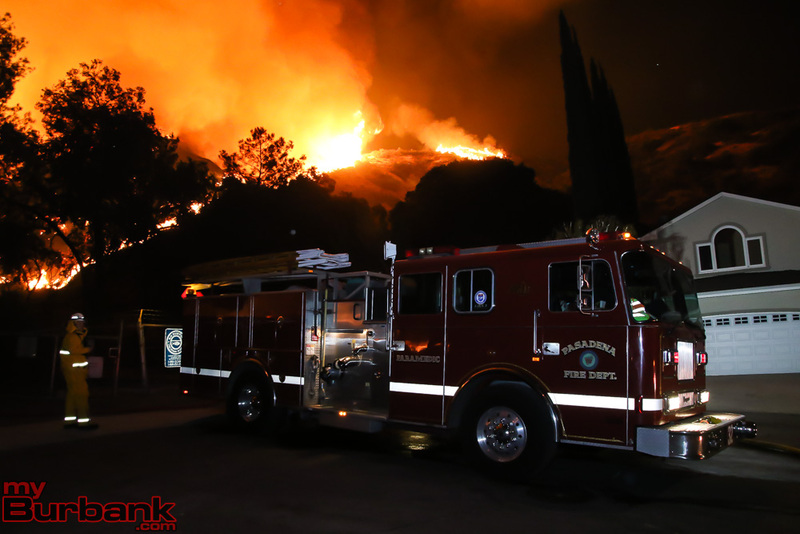 City fire engines were first dispatched to the original fire but after a while when it became apparent that the fire may crest the hills and come toward Burbank, they returned to protect their home town. 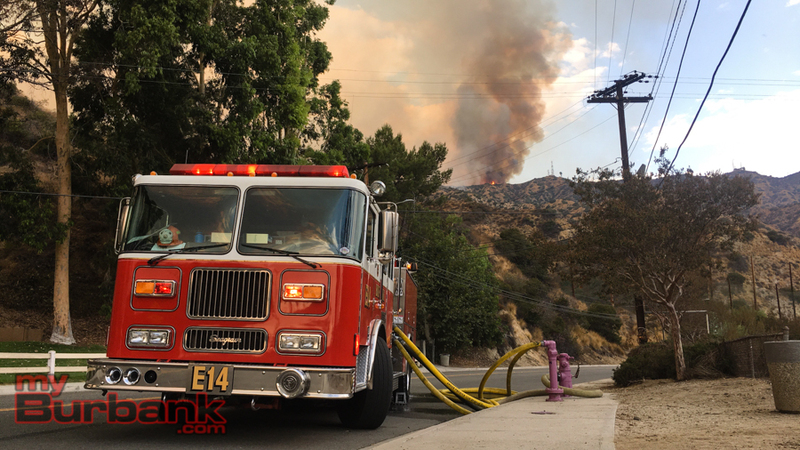 While the first started at about 1:30 p.m. Friday, it was not until 4:51 in the afternoon that it started to be of enough of a concern that the first brush assignment was dispatched in Burbank. 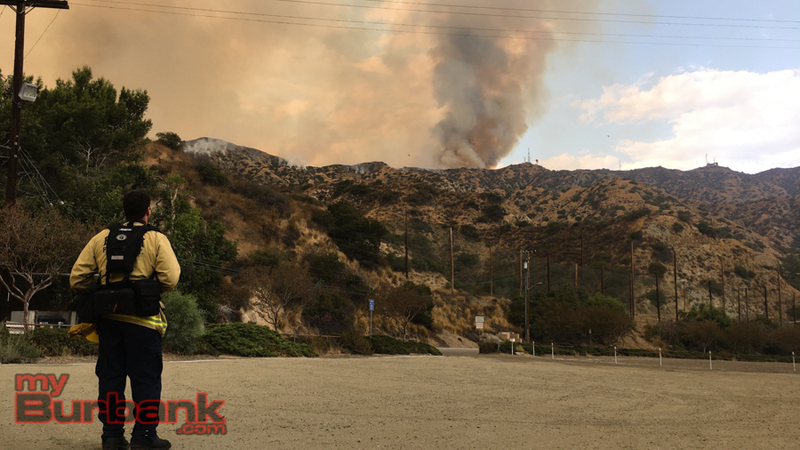 Units positioned themselves up near Brace Park and Country Club Drive and started the long wait for the fire to crest the hills and start down toward Burbank homes. 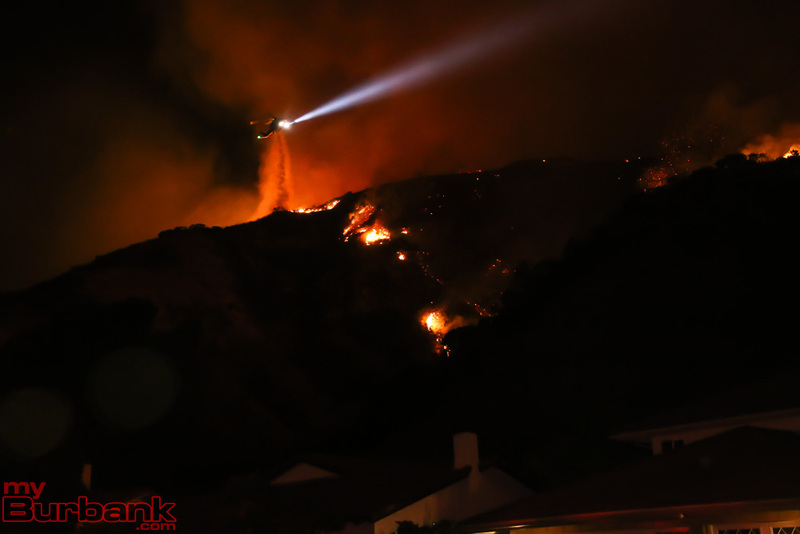 Once the fire’s path was imminent, Burbank fire officials gave mandatory orders to everyone basically above Brace Canyon Park all the way over to the Cabrini Villas. The area included all of the private housing off of Castleman Lane. 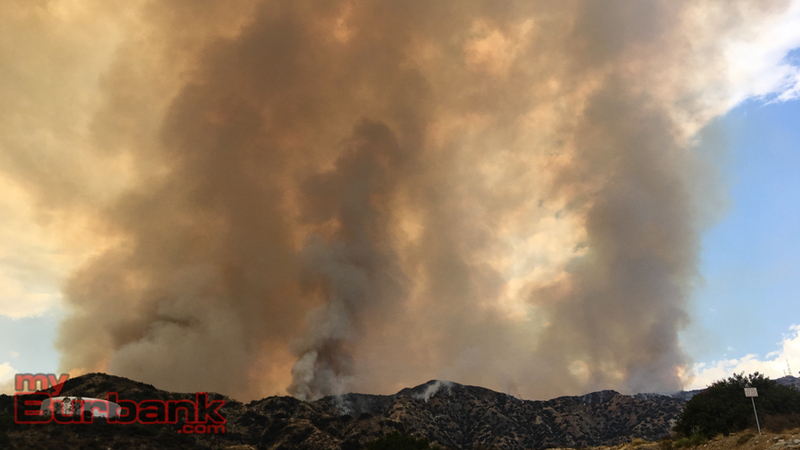 Burbank police officers began the task of going door to door to advise residents of the mandatory evacuation. 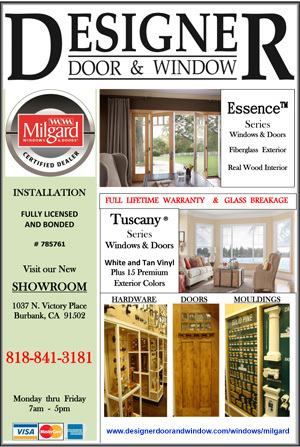 They recorded all addresses checked and advised residents. They kept track of each decision because they could not physically force a resident to evacuate. 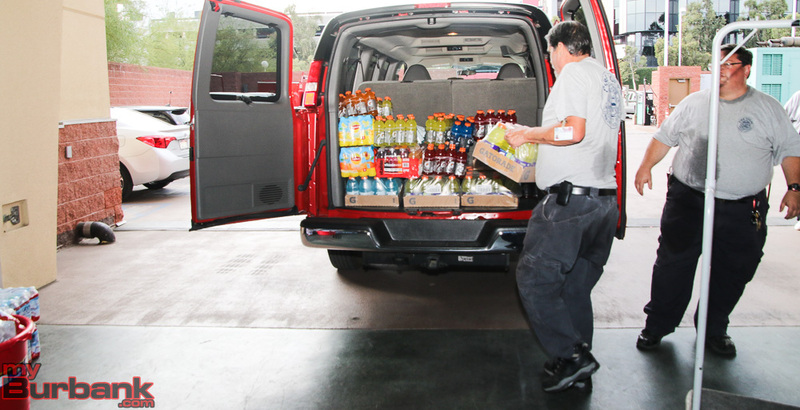 The City of Burbank and the Red Cross set up an evacuation center at McCambridge Recreation Center. About 10 residents were there around midnight. 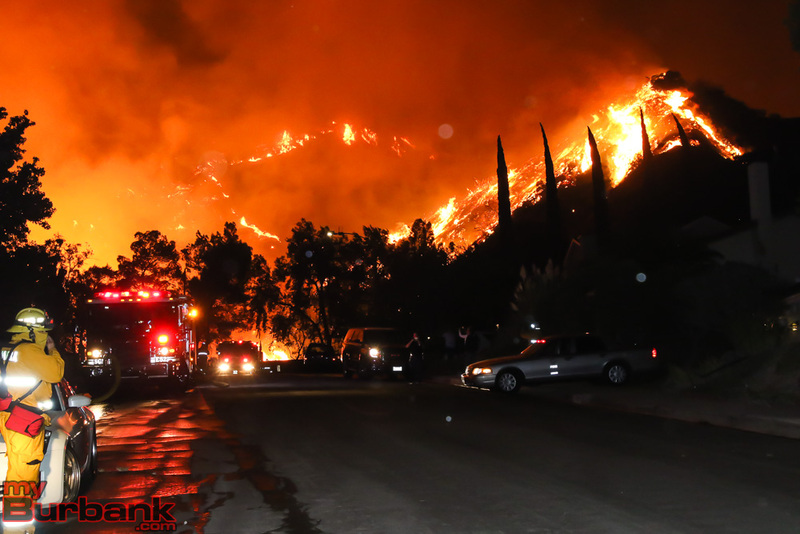 During the night, the first concern was the Stough Canyon Nature Center. 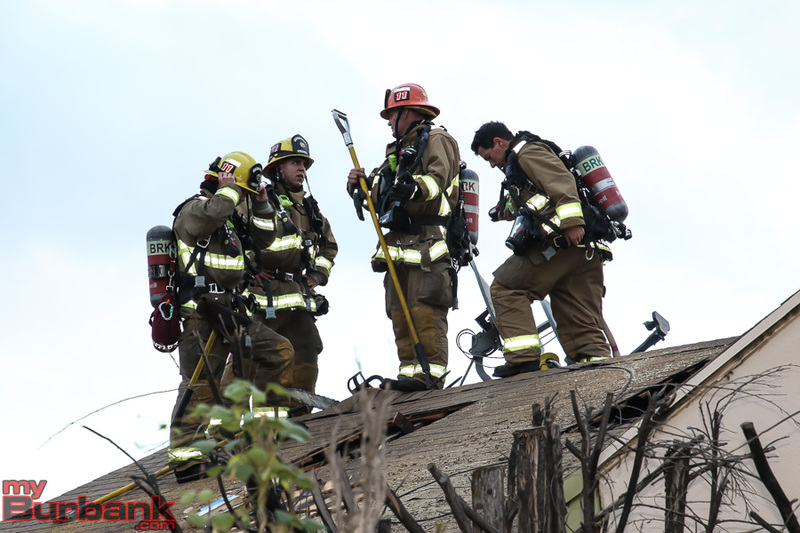 Firefighters worked hard to protect the structure from the fire. It is unknown how much damage has been done to the trails near there. As soon as the battle was engaged, the fight to save homes on the hill began. 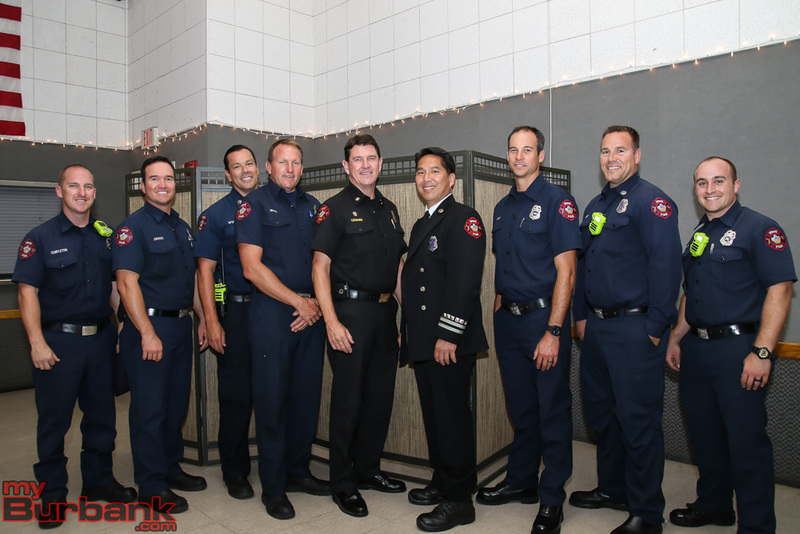 Engines and firefighters from all around Southern California were part of the unified command that was run in the Burbank area by the Burbank Fire Command Staff. 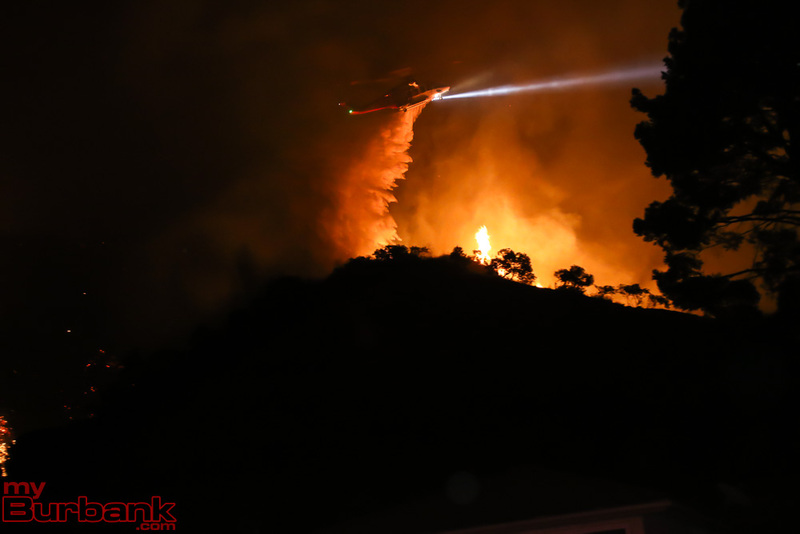 Los Angeles City Helicopters, who only fly at night in extreme emergencies, made water drops all night as the main focus of the fire turned to Burbank. 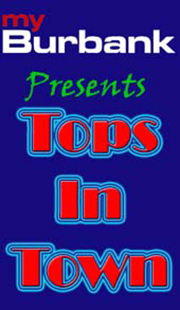 Listening to the pilots on their radio, there was a calm, but confident demeanor as they systematically hit hot spot after hot spot. As dawn broke, the houses on the hill were still safe. 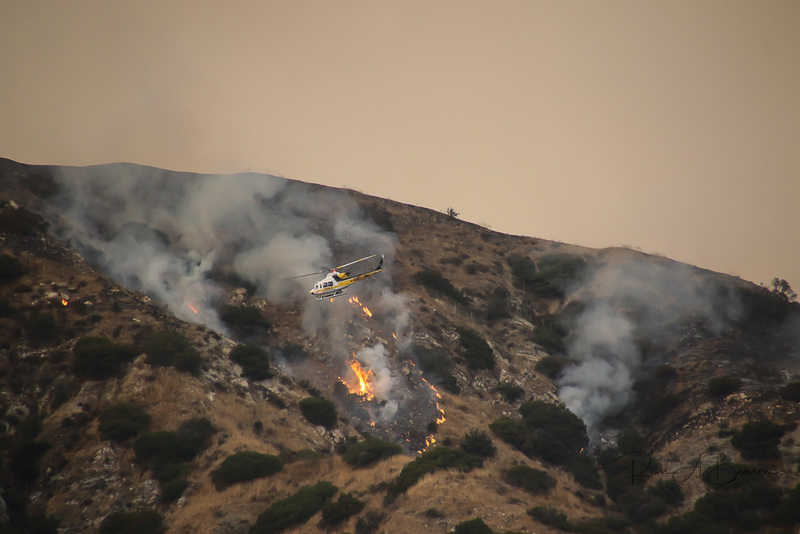 Firefighters continued to man the streets around the hillside. 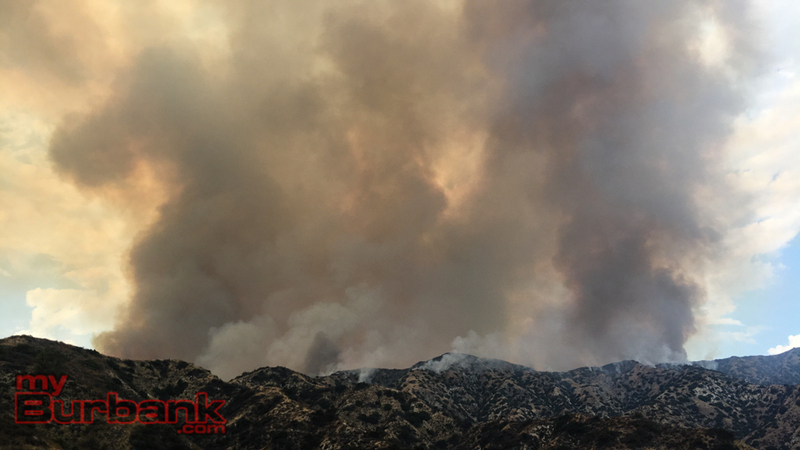 Firefighters made a series of drops of Phos-Chek fire retardant from Brace Canyon all the way to La Tuna Canyon which helped stop the spread of fire. 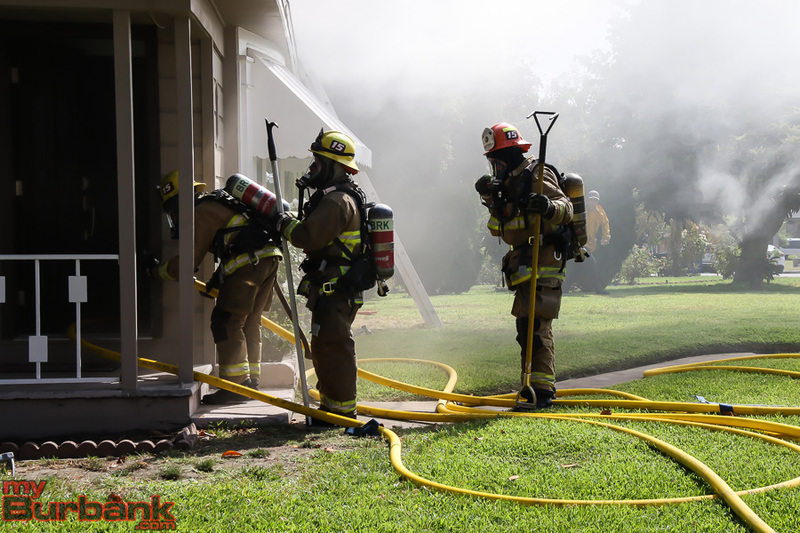 Some firefighters were replaced by others after working as many as 36 hours straight in heat over 100 degrees. 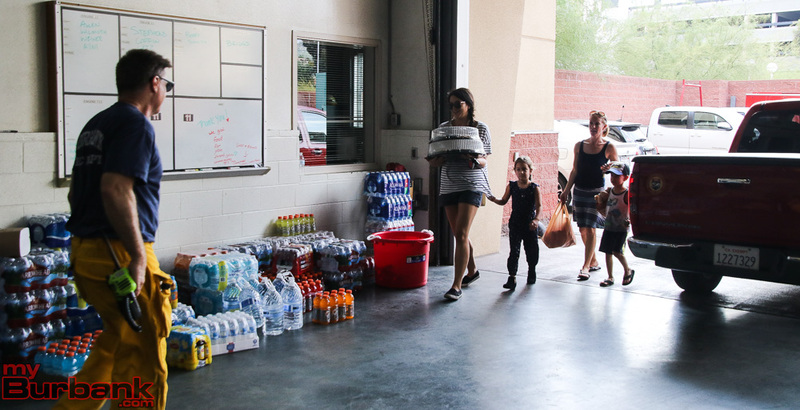 Many residents brought water, Gatorade and even ordered up pizzas for firefighters and brought them to the city’s main fire station on Orange Grove. 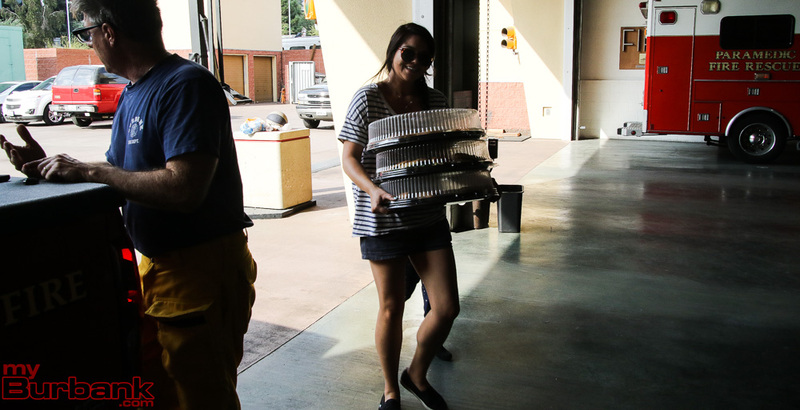 In fact, there were so many donations from grateful residents that the fire department put up a sign saying that no more donations would be needed. 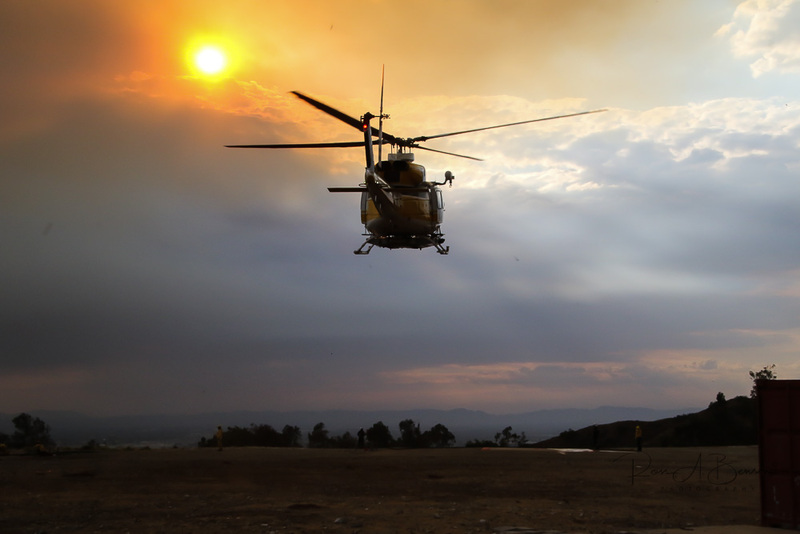 Officials from the Los Angeles Fire Department have estimate the acres burned at about 5,800 as of 10 p.m. Saturday and as little as of 10 percent of the fire area has been contained. 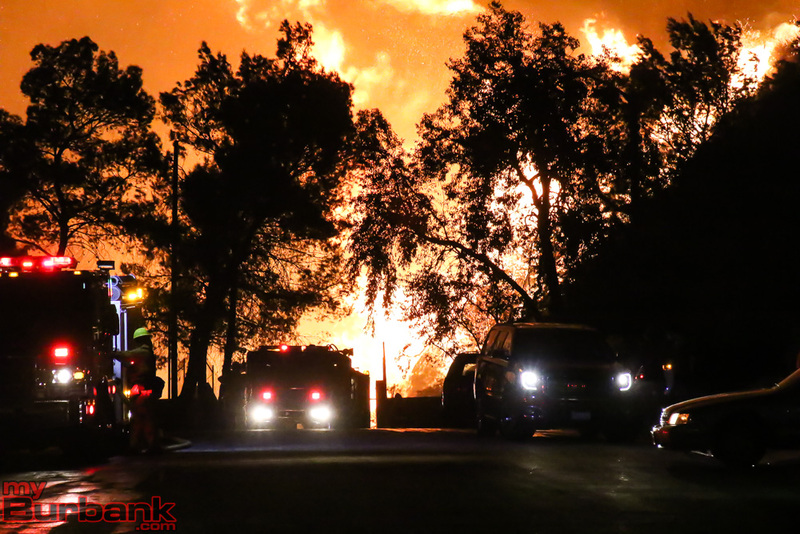 As of 10 p.m. Saturday evening, fire officials lifted the mandatory curfew and let only residents and members of the media into the fire zone. Those returning had to show proof of residency. Fire engines will be standing by in the area for the next couple of days to protect against flare-ups. 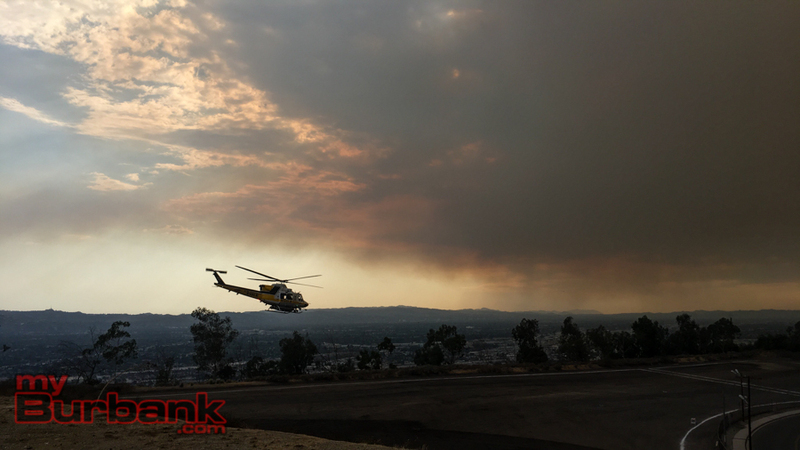 This entry was posted in Fire, News and tagged Burbank Fire Deparntment, City of Burbank, La Tuna Fire on September 3, 2017 by Craig Sherwood. Thanks to our many readers reporters for their coverage of the fire today! 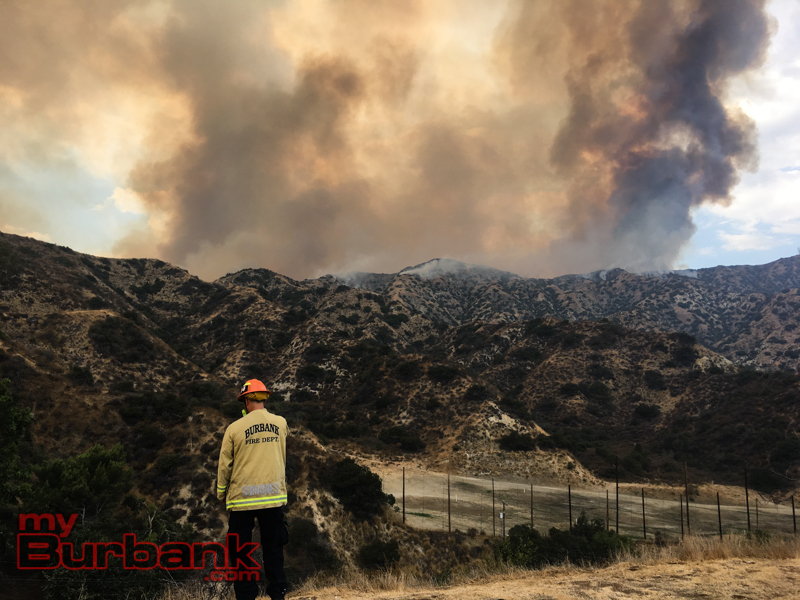 Many people sent in their shots of the fire and smoke from their locations throughout the area to our Twitter feed, @myBurbankNews. 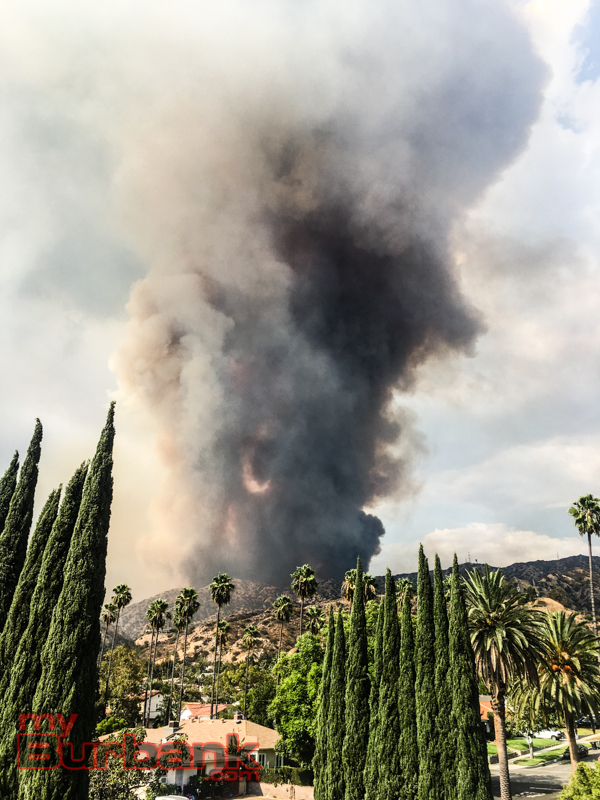 @myBurbankNEWS, view from my living room not that long ago. 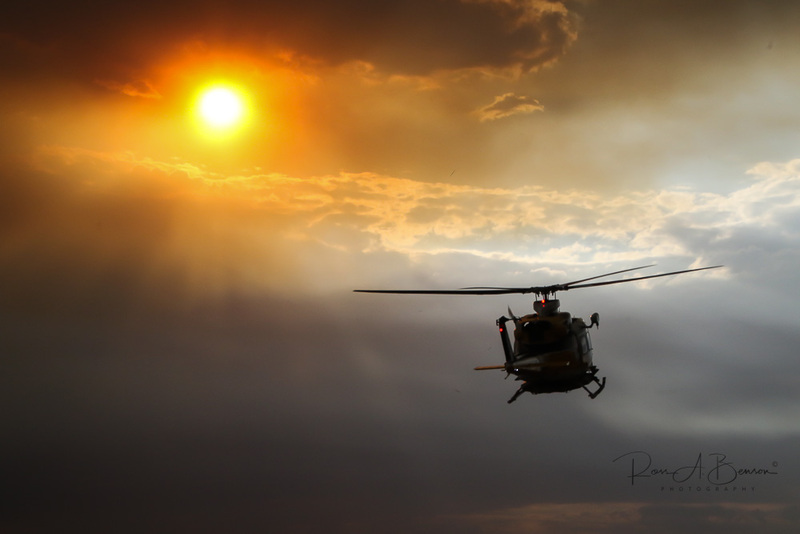 So much respect for the firefighters protecting us, especially in this heat?? 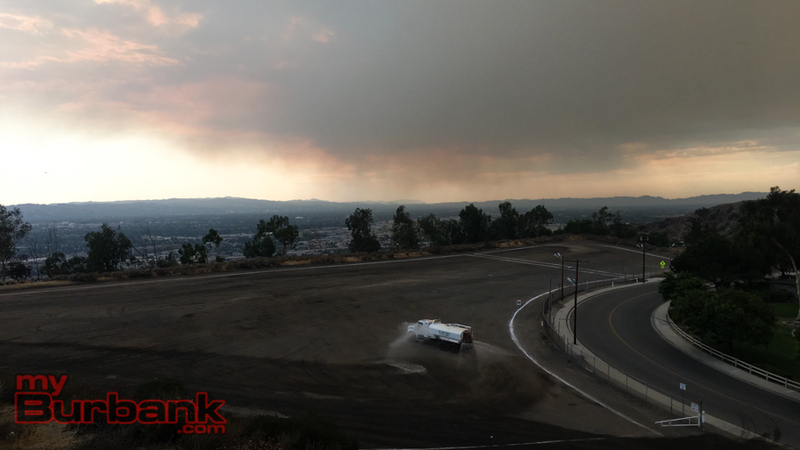 Update from Burbank side, which actually covers so much more of the ridge than this pic shows? 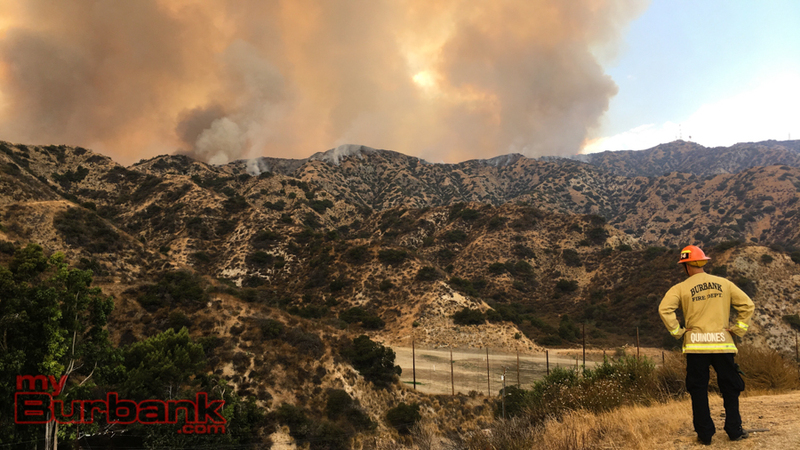 This entry was posted in Fire, News and tagged Burbank Fire Deparntment, La Tuna Fire on September 2, 2017 by Craig Sherwood.